Josh was the Green Party candidate in District 9, an amazing multilingual, energetic teacher, husband, father, and son, and my former neighbour down the road in Bonshaw. All parties and the Vote Yes PEI have suspended campaign activities out of respect for Josh's family. I am remembering gardening on warm days, and hearing soft trumpet noises rising up from the river over the trees, as Josh would sometimes practice outside in the summer. The family moved to Charlottetown to be closer to their teaching jobs (and take advantage of active transport that it afforded), but always loved our area. 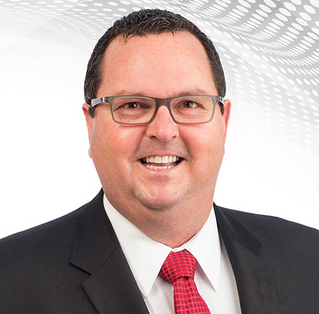 Condolences to Karri Shea, their son Linden, and family, his students and co-workers, and all the people he has energized and touched during this campaign. I think there are plans for a vigil today, possibly at 2PM today, downtown Charlottetown (details will either be sent out or posted on the Citizens' Alliance page on Facebook). 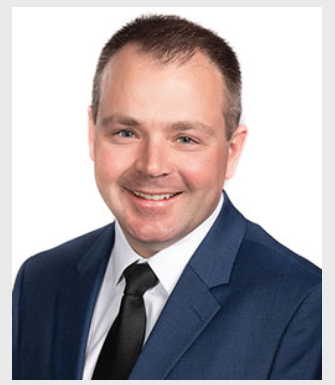 CHARLOTTETOWN - It is with the deepest sadness that Green Party leader, Peter Bevan-Baker issued the following statement:“As Leader of the Green Party of Prince Edward Island, I was bereft to learn about the death of Josh Underhay and his son in a tragic accident today. “Josh has been a dear friend and colleague of mine for many years, as a volunteer, musician, passionate cycling advocate and Green Party supporter. He has touched the lives of everyone who knew him, including the students he taught, fellow musicians, and members of the party. Whether advocating for proportional representation, dazzling us with his mastery of languages, or being there to support fellow candidates, Josh brought humour, enthusiasm and boundless energy to every situation. “I simply cannot imagine how much he will be missed. All Green election activities will be suspended for the remainder of the campaign. We ask all media to respect the privacy of the family at this time. 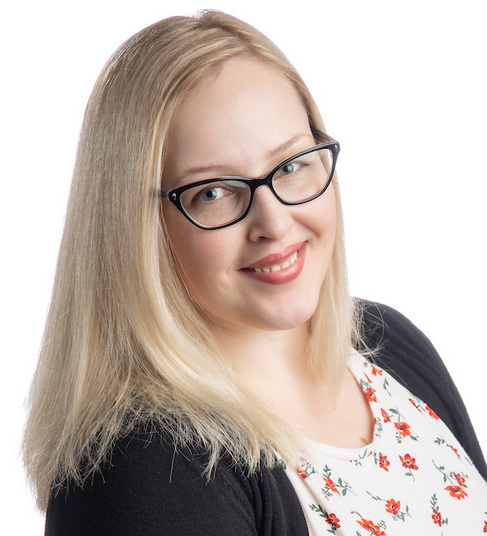 Please direct all media inquiries to Green Party of PEI Director of Communications Shannon Carmont. "Mostly it is loss which teaches us about the worth of things." Owl Prowl, 7:30-9PM, Macphail Woods, all welcome. These usually go ahead rain or shine, but here is the Facebook event link. Choral Music for Holy Day, 7-8PM, Trinity United Church, 220 Richmond Street, Charlottetown. Confederation Centre’s adult choir, the Confederation Singers, present the annual Choral Music on Holy Day. Under the direction of Donald Fraser, the Singers together with guest soloists Shannon Scales, Ian Solomon and Gaige Waugh will perform the majestic St. Cecilia Mass of Charles Gounod. This headline work will be accompanied by organist Frances MacBurnie, The Atlantic String Machine, and Dave Shephard, timpani. Night Music, 8-9PM, St. Paul's Church, Church Street off Grafton, Charlottetown. "Pianist Sarah Hagen invites people yearning for a quietly magical evening to come out to St. Paul's Church for a carefully curated programme of Bach, Chopin, Mendelssohn, and others. Inspired by Natkirke, a contemplative initiative in Denmark, the music will flow from one piece to the next without pause or applause. The hour of music will begin at 8 pm and admission is pay-what-you-will at the door." The PEI Museum Act affirms the mandate to conserve the cultural and natural heritage of PEI, but currently only the cultural mission receives basic support. Natural history (the study of nature) relates to societal issues such as biodiversity, extinctions, invasive species, emerging diseases, climate change, and environmental degradation. Having a curator in place would allow us to describe our biodiversity and share our natural history with school children, Island residents and visitors. Will you promote the conservation of our natural heritage by funding a curator of natural history, a support person, and a facility with adequate space for natural heritage collections and displays? In summary, the three Leaders not in government all said that while the costs should be sketched out, that a real museum with real staff was sorely needed; they also spoke of facets of the invaluable experiences as children both being out in nature, and seeing and touching articles in collections with people as guides. Only Wade MacLauchlan seemed to feel that digitalization of the collection was adequate. Paul MacNeill's editorial this week in the Graphic publications: http://www.peicanada.com/eastern_graphic/article_76313aba-607c-11e9-b016-f76d45a41e30.html? It is the elections within the election that will ultimately decide which party wins government and what form of democracy the Island embraces going forward. Riding thus far under the radar of the main event is the campaign to change how Islanders vote from first past the post to mixed member proportional. The No campaign has adopted a fear campaign claiming MMP is somehow difficult to understand and will lead to unstable government. They claim, without merit, it will lead to a reduction in the rural voice. What the No campaign has not dealt with are facts. The rural voice has been in steady and predictable decline for 15 years thanks to a federal court ruling that now mandates boundary reviews after every third election. We’ve lost seats. 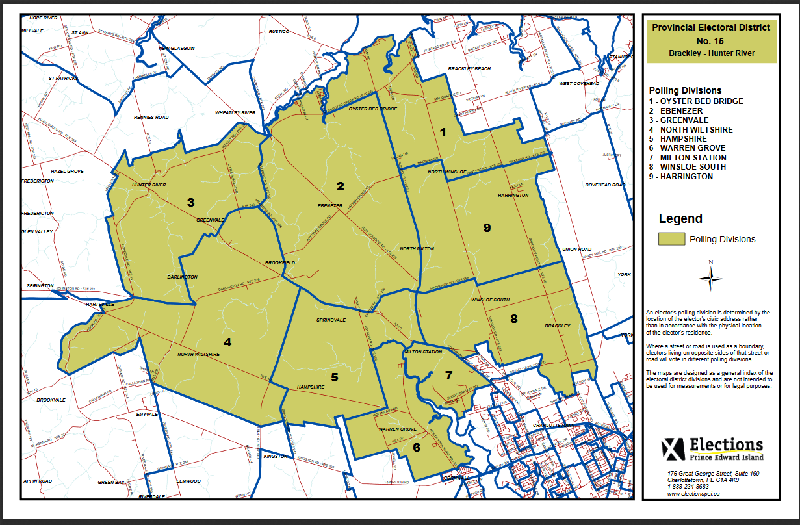 Today the majority of rural ridings encroach on urban areas. District 5 is a perfect example. It is a mix of Stratford and outlying rural communities. 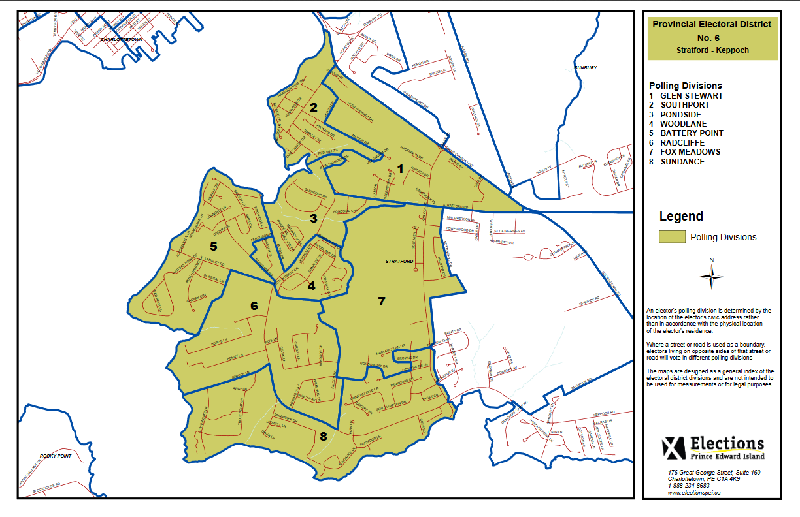 District 2 now stretches from Georgetown to almost Pownal, a massive geographic block with divergent demographics and issues. The suggestion that the power of the rural voice is directly linked to the number of MLAs is not supported by history. Voice is often stronger with an opposition MLA not bound by the straight jacket of caucus or cabinet solidarity. Montague‘s emergency room endured significant reduction in service while one of the most powerful cabinet ministers represented the community. Barely a peep was uttered. Same has occurred in West Prince. No party has expressed a sincere interest in minimizing the whipping of votes or enforcing party solidarity. Without that, it doesn’t really matter who a representative is if they put party first. The No side raise the specter of list candidates and how they are selected. New Zealand’s Prime Minister, now seen as one of the strongest leaders in the world, started her career as a list candidate. It’s an example of the type of leader that can be found when given the opportunity, an often impossible task under first past the post. The party nomination system is dominated by graying men. Female candidates are always underrepresented. And too often the nominations they do garner are in ridings deemed not winnable by the Tories and Liberals. Any party that wants to be seen as representative of the whole Island will be foolhardy not to select rural based list candidates in prominent positions. Some question how these candidates are selected. That is fair. But if you raise this as questionable then you must also question how party back rooms already anoint preferred candidates today. The reality is no system is perfect. But if roles were reversed what logical argument can be made for one vote being worth more than another? MMP is simply the right thing to do for diversity, for equality and for effective representation of all. In the big campaign, both Liberals and Tories may benefit from a decision by The Guardian not to publish results of its CRA election poll until Saturday. By the time final numbers are released advance polling will be complete, which means both old line parties can get as many supporters to the polls without worry that a poor poll result or performance in the CBC debate on the 16th will sway them to other parties. The poll will not be reflective of what occurs in the CBC debate, a potentially pivotal moment of the campaign. CRA may still have an impact on election results, but not as much as it potentially could have. And of course the important thing is just get out and vote. Don’t worry about what the coffee shop says. Don’t worry about what your friends say. Don’t worry about news stories or pundits. This is your choice and only you get to make your vote count. It now includes, Uigg, Orwell Corner and Macphail Woods, and of course has Belfast and Murray Harbour and River, and Wood Islands, Point Prim, Pinette, Valley, and others. Jim has an extensive background in the military and with Northumberland Ferries,and various other interests, before wishing to make a difference in politics and public service. Ian is executive director of the P.E.I. Fisherman's Association, and lives in Belfast. 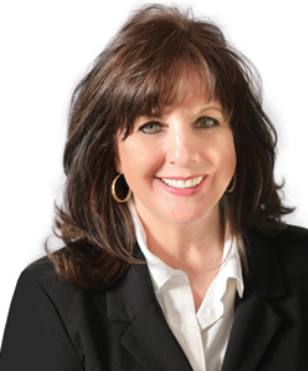 Darlene is the incumbent, being elected in 2015. She works diligently for constituents, and has been very clear opposing the Northern Pulp effluent pipe plan. 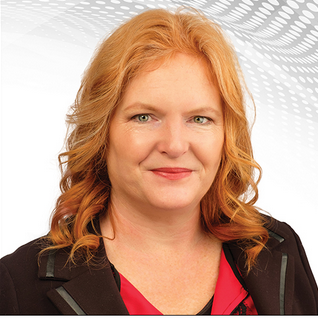 She ran for the party leadership along with James Aylward and Rob Lantz before becoming an MLA. Quote: "When I was young I admired clever people. Now that I am old, I admire kind people." Presentation: "A 100% Renewable PEI: Why, How and What Cost? 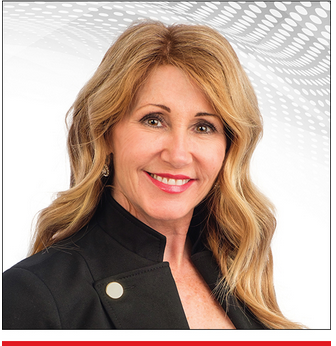 ", 10AM, McDougall Hall Room 243, by Accounting Faculty candidate Crystal Burrows, CPA. All welcome. 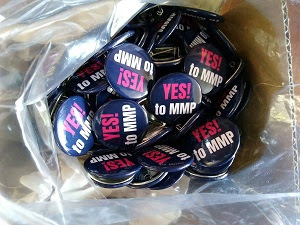 MMP and Referendum Information Session, 6-7PM, Charlottetown Firefighters' Club, 89 Kent Street. "Join (the Council of Canadians) and Anna Keenan from the PR on PEI network for an information session to learn more about how mixed member proportional representation works, how it would function locally, and how MMP compares to our current electoral system (first past the post). We want to make sure that we are all informed with facts and information before heading to the polls. This will be a great place to bring any questions you may have about the upcoming referendum! Please join us at 6pm and bring your friends and family! Everyone is welcome. *This is a non-partisan event and we invite attendees to stick around for the UPEI Student Union's 'Charlottetown Districts 9-14 Candidates Meet & Greet' at 7pm in the same location. 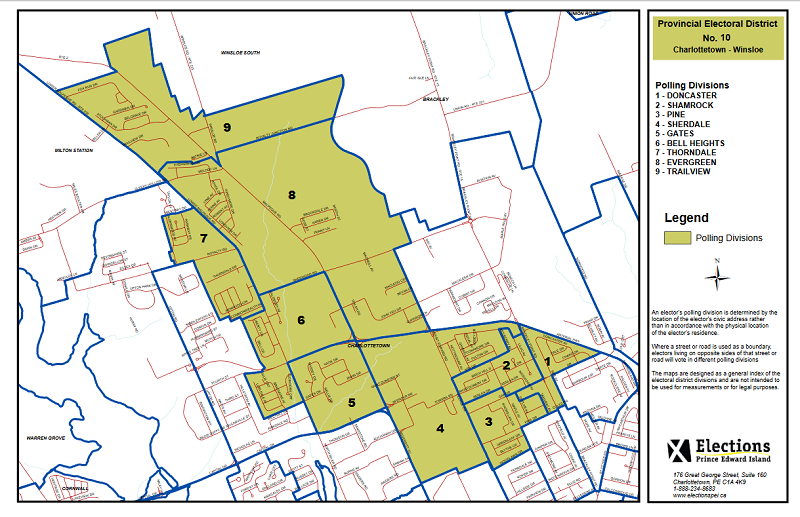 Info Session on Referendum and MMP -- Bonshaw area, 7:30PM, Bonshaw Community Centre, 25 Green Road. Anna Keenan from PR on PEI will be here, too!, and there will be refreshments and buttons. All welcome. UPEI Engineering Expo, 1-4PM, School of Sustainable Design Engineering Building. Free parking will probably be available at the "back CARI lot" by the MacLauchlan Arena, which is right next to the Engineering Building. Interesting projects with more complexity as the year of study increases, and lots of fun things to see. There is a lot of background. Bulk Barn Celebrates Earth Day, April 18th-Wednesday, April 24th, with 15% discount for those who bring their own reusable containers. (This won't be added to other discounts, though.) Reusable containers for purchase are on sale, too. Not endorsing the store or all their methods, but glad to see the folks trying to reducing packaging waste get a financial incentive, even for a limited time. This District extends up and out of the Stratford core around Keppoch Road and reaches to the borders of D7:Morell-Donagh and D2: Georgetown-Pownal. 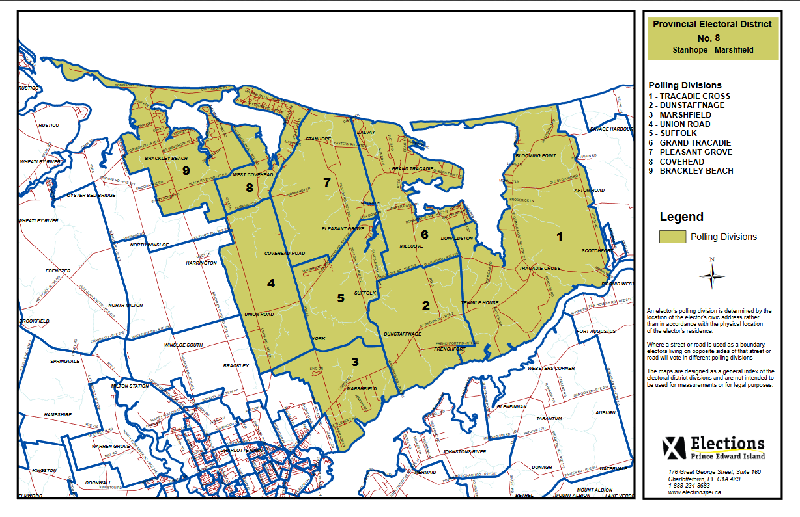 I messed up yesterday and mistakenly described the Green Party District 5:Mermaid-Stratford candidate Michele Beaton instead of District 6 candidate Devon Strang. 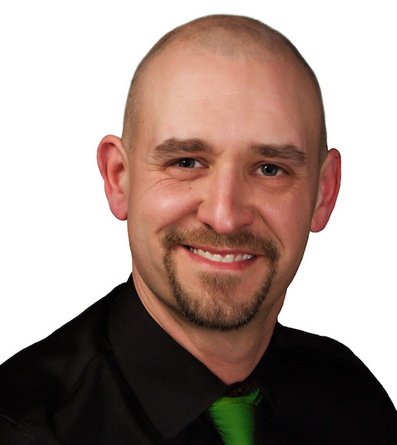 Devon Strang, Green Party LINK is the District 6:Stratford-Keppoch candidate. He lives in Stratford and works with the intellectually disabled at Inclusions East and has a background in the arts. Michele has worked in tourism and businesses, and volunteers with Girl Guides and other organizations. 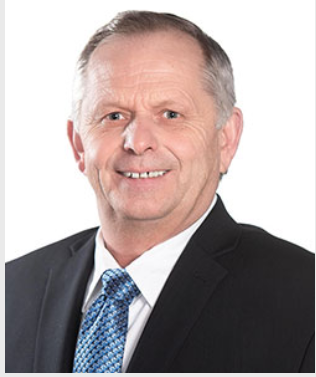 Randy Cooper, Liberal Party LINK Randy has been a councilor, small business owner, has been president of the PEI Road Builders and Heavy Construction Association, and has a lot of volunteer experience. 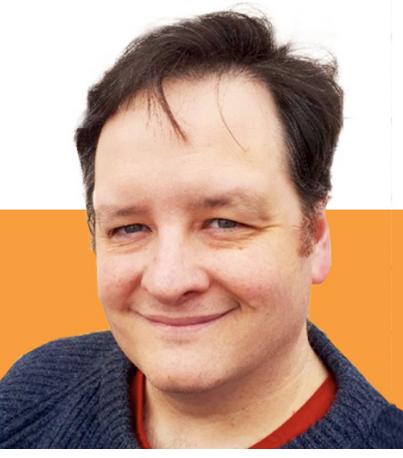 With an extensive background in agriculture and union work, and helping federal NDP campaigns, Lawrence brings a wealth of experience into his candidacy. The link has the full biography. Mary Ellen is an amazing volunteer and also runs the family farm. 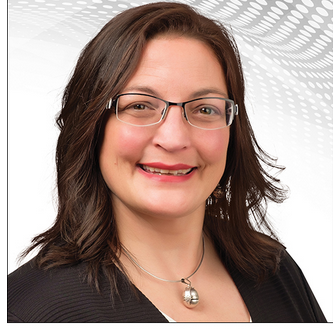 She tied with J. Alan McIsaac in 2015 and lost he MLA seat by a bobbly coin toss. Quote: "To free us from the expectations of others, to give us back to ourselves -- there lies the great, the singular power of self-respect." Youth Forum (for Provincial Party Leaders or their representatives), 7-9PM, UPEI, Student Union Building-McMillan Hall. Island Youth, PEERS Alliance, UPEISU, and the UPEI Graduate Students' Association are cohosting. Participants will include Peter Bevan-Baker, Green Party Leader and D17 candidate; Joe Byrne, Leader NDP and D12 candidate; Kris Currie, PC Party candidate D17, David Dunphy, Liberal candidate D6. The forum will be moderated by Ashley McKibbon, President of the UPEI GSA. 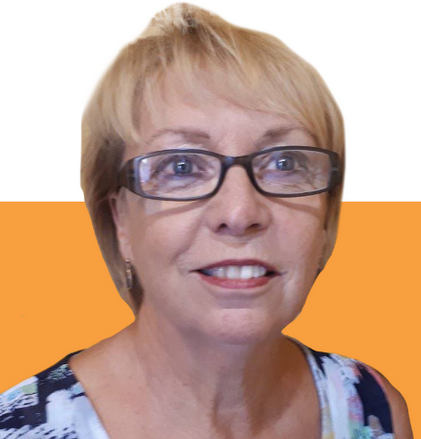 MMP Canvassing, Hunter River, 6-8PM, meeting at the Subway. Join us for canvassing to distribute pamphlets and remind people about the vote to change to a Mixed Member Proportional (MMP) voting system on April 23. Get your questions about MMP answered! Join us for a live question and answer session before you vote. We will be answering questions in the comment section. In 2017, Prince Edward Island signed the Canada Free Trade Agreement, a corporate-led trade agreement between Canadian provinces which mirrors the template used in trade agreements with Europe and with ten Pacific Rim countries, and in NAFTA2. Significantly, there is no accounting in any of these agreements for the carbon footprint, the level of pesticide residue, or the sustainability of the production of goods being traded. Globally and locally, civil society is calling for trade rules which give preference to low carbon, sustainably-produced goods. What steps will you take to champion new trade rules, particularly in inter-provincial trade, which account for the carbon footprint, the level of pesticide residue and the sustainability of the production of traded goods, including agricultural products? Notes are my own, along with their biases and inaccuracies. Dennis King, PC Party -- Dennis said he was for Free Trade and knew that what consumers demand, will push these things to improve. He said we can do better and be number one. Peter Bevan-Baker, Green Party -- Peter said these are a challenge, and lead to more massive amounts of stuff moving about, and that it was better to be local (and that this will eventually happen). He said the goal is sustainability criteria when it comes to government procurement and import substitution, and the Green Party has a ten year goal of buying local for procurement. Joe Byrne, NDP -- Joe said it was a curious thing that Canada's Food Island has people who are hungry. He cited the growing inequity and corporation life to the exclusion of people; the people who pay that are US, our neighbours and friends. He strongly emphasized that we have to make sure people can eat! Labeling is vital, so we know what is in things, and can track pesticides and carbon footprints. 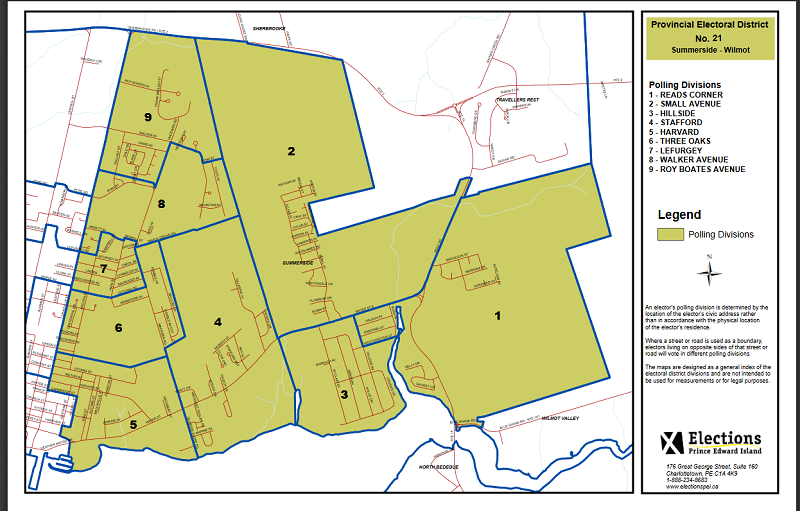 Six Days until Election Day an vote on the Referendum on Voting Systems -- Focus on District 6:Stratford-Keppoch The districts jump over District 5: Stratford-Mermaid to District 6: Stratford-Keppoch, which encompasses much of the loop of Keppoch Road,the TCH, and the Kinlock Road, and houses and such around them (plus some other smaller areas). 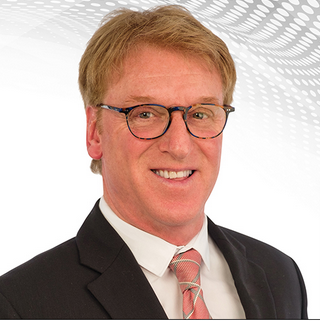 David was the mayor of Stratford and a councilor before that, and is trained as a chartered public accountant. He is also quite the volunteer. 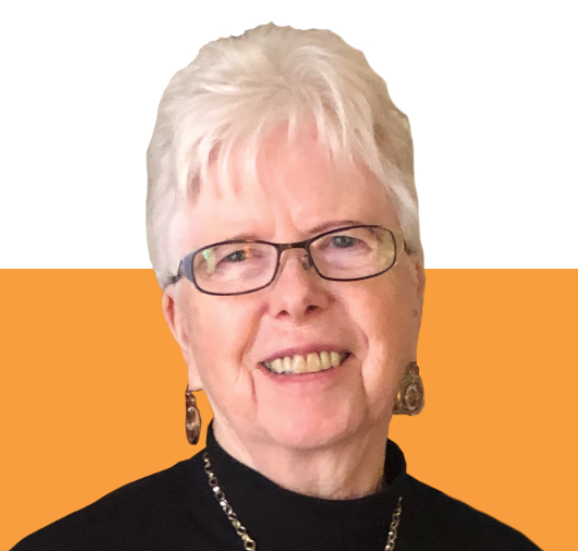 Lynne has been an educator for many years, involved in unions, and more recently has worked on social justice matters, the cosmetic pesticide bans and other environmental issues. 11, and has always worked hard for his constituents and Islanders. He was an advocate for many fighting the Plan B Highway, and continues to voice the concerns of those who are marginalized. He was in the hospitality industry before politics, and is a dedicated volunteer and family person, and is great with dogs. Quote: "Nothing is worth more than laughter. It is strength to laugh and abandon oneself, to be light." CBC Leaders' Debate, 6:30-8PM, CBC PEI online, TV and Radio. Morell High School fundraiser at Indigo Bookstore, 5:30-8:30PM. "Morell High is very pleased to be returning to Indigo for a fundraising event ... just in time for Easter! We will be raising funds to purchase new books in support of literacy in our school. 20% of the evening sales will be donated to our school library. We LOVE books and are looking forward to adding new titles to our collection. Please drop by that evening for some spring/Easter shopping. We look forward to seeing students, parents, staff and friends!" Please note: local bookstores are wonderful, too. All starting at 7:30PM, at Macphail Woods Ecological Centre. "Join us for a slide show and talk on owls, then walk the trails learning to hoot for Owls. The Macphail Foundation will open the Great Room of the Homestead at 6:30pm and serve light refreshments. There will be no cost but donations to the Foundation will be gratefully accepted....Although we offer multiple owl prowls, we ask that you only attend one so that everyone has an opportunity to participate." Presentation: "A 100% Renewable PEI: Why, How and What Cost? 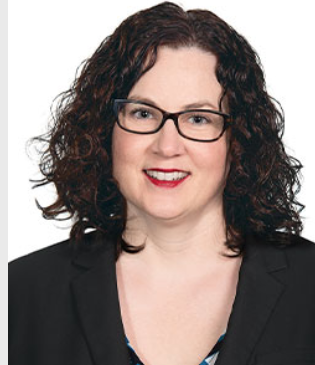 ", 10AM, McDougall Hall Room 243, by Accounting Faculty candidate Crystal Burrows, CPA All are welcome to attend. Across Canada, momentum is building in support of the right to a healthy environment. Now the call for environmental rights has arrived in the nation’s capital. 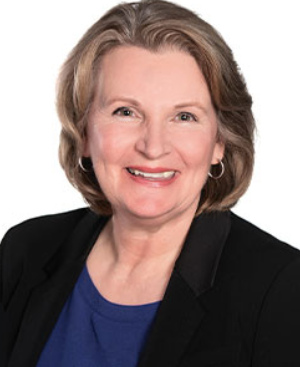 On April 5, MP Linda Duncan (Edmonton-Strathcona) introduced Bill C-438, an Act to Establish a Canadian Environmental Bill of Rights. This private member’s bill would formally recognize that people in Canada have the right to a healthy environment, and in parallel introduces a legal duty for the federal government to protect this right. The proposed legislation would amend the Canadian Bill of Rights to specify that the right to life, liberty and security of the person includes the right to a healthy environment. The bill would also establish legal mechanisms for people to hold the federal government to account for protecting the environment and enforcing environmental laws. Other provisions include requirements for the federal government to ensure all Canadians have access to environmental information and the opportunity to participate in government decision-making concerning the environment, as well as protection for workers who blow the whistle on illegal pollution and other environmental offences. To many of us, this all seems like a no-brainer. In fact, you might be surprised to learn that currently no federal law explicitly recognizes the right to a healthy environment. Quebec, Ontario and the three territories address environmental rights in provincial laws, but even in those provinces and territories, there is a gap in areas of federal jurisdiction. Most other nations (more than 150) recognize the right to a healthy environment in their constitutions, by statute or in legally binding treaties. Canada should too. We need a Canadian environmental bill of rights. The federal Liberals, NDP and Greens have all formally endorsed the call for an environmental bill of rights at their respective 2018 national conventions, but this does not guarantee passage of the proposed Canadian Environmental Bill of Rights. Private member’s bills face an uphill battle in Parliament and rarely become law. An earlier version of this bill came close, though. First introduced in 2009, it garnered support from MPs of various political stripes before its passage was interrupted by the 2011 federal election. The current proposal likewise deserves the support of all parties. If a majority of MPs vote in favour of the bill at second reading, it would then be referred to committee for review and the senate would eventually also need to confirm its approval before it becomes law. With just a few weeks left in the Parliamentary session, the bill is unlikely to make it through all the steps in the legislative process before Parliament prorogues for the 2019 election. Nevertheless, the bill prompts an important and timely discussion on Parliament Hill as politicians — and voters — consider priorities for the upcoming election. If it dies on the order paper, Canada’s next environment minister should pick up the gauntlet and move to establish an environmental bill of rights early in his or her mandate. 1. Find out if your MP has signed the Pledge for Environmental Rights. If not, why not? Click here to invite your MP to sign the pledge (it only takes seconds!). 2. Encourage your MP to support Bill C-438. Look up the phone number here and place a call. 3. Sign the official Parliamentary e-petition calling for an environmental bill of rights, and share it with your friends. 4. Stay in touch! Sign up to receive updates from the Blue Dot movement and help it grow. All people should be entitled to the right to live in a healthy environment, including: the right to breathe clean air, to drink clean water, and to consume safe food. Many jurisdictions around the world have enshrined these environmental rights. A growing campaign in Canada calls on each level of government to respect, fulfill and promote these rights. 160 Canadian municipalities, including Charlottetown and Stratford, have affirmed the right to a healthy environment. Quebec, Ontario, Manitoba, Yukon, NWT and Nunavut have all recognized these rights in legislation. Will you affirm these rights by enacting a provincial Environmental Bill of Rights? Leaders listed in order they answered; these answers are from my notes -- in paraphrasing and errors are my own. 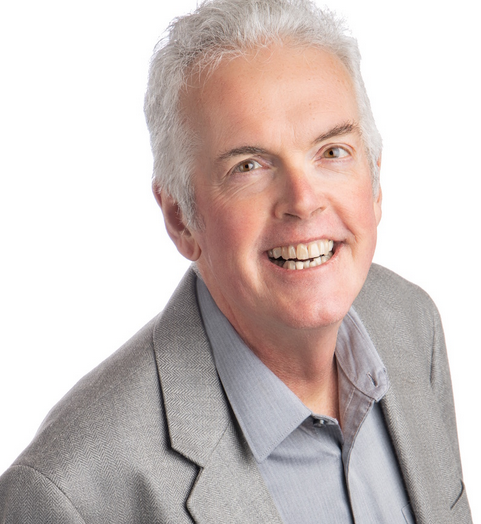 Joe Byrne, NDP -- YES. It will need teeth: both controls on the market, and consequences for violating the ideals. Joe said he has seen too much in Canada and other countries and this is a human right. 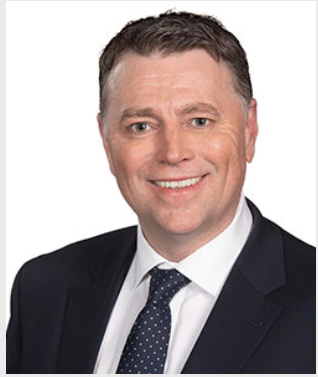 Dennis King, PC Party -- YES. Words need action, and this will need teeth. We must ensue our government does things we want it to do. This is a BASIC RIGHT for individuals. We deserve to grow up and live in a healthy environment. It is unfathomable that we do not have it now. We will do it quickly. Peter Bevan-Baker, Green Party -- YES, this could have been in the Water Act; it needs to be enshrined, and it needs to have teeth. Wade MacLauchlan, Liberal Party -- MacLauchlan said the Water Act was a good example how this worked. In all seriousness, he said look at the ban on fracking (Chris's comment: he did not admit that there were subsections in the early reading of the Bill that would have easily allowed the fracking ban to be overturned any Tuesday by Executive Council, and it was slanders in droves contacting their MLAs to have those subsections removed before passage that actually made it a strong ban). He also referred to the Plastic Bag Reduction Act, and said his government was number one in Action. So this note-taker took that as a NO. Seven Days until the Provincial Election and Referendum on Voting Systems. 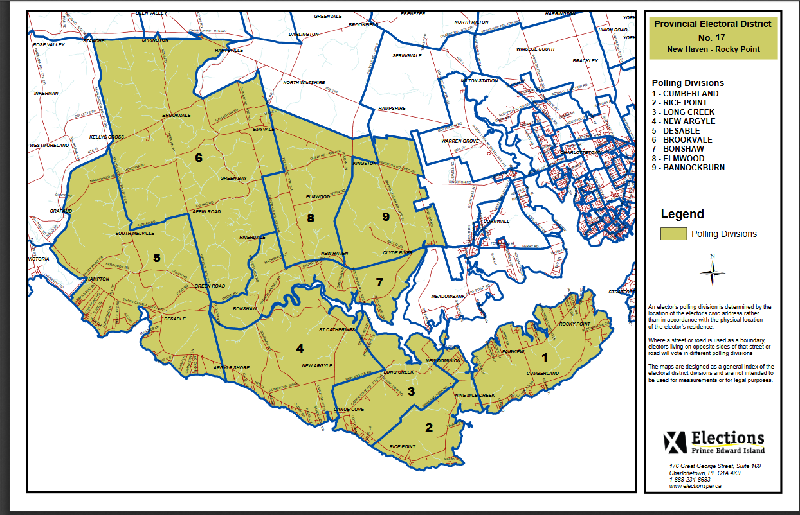 The District contains Morell High School, and Mount Stewart Consolidated, and those communities, plus goes easterly now to the St. Peter's area; Scotchfort, Fort Augustus, and Johnston's River and Donagh are on the western side. 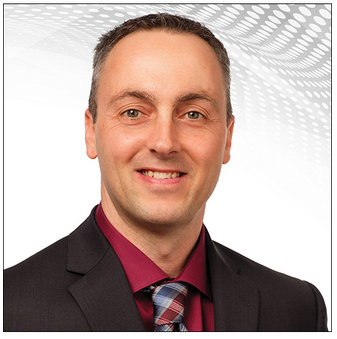 Kyle has experience in aquaculture and forestry, and has volunteered extensively. Susan Myers, Liberal LINK Susan has various work and volunteer experiences in her background. 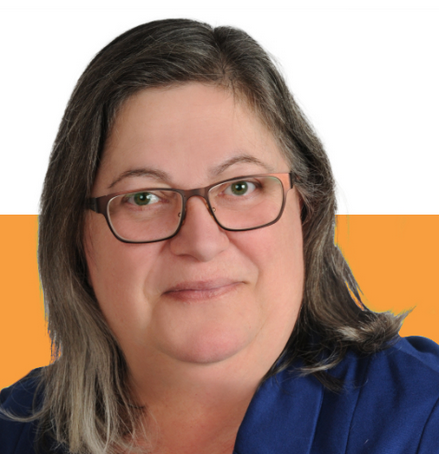 Margaret Andante, NDP LINK Margaret has been a community organizer in various places she has lived across the country, and she ran for the NDP leadership last time and brings a lot of experience and talent. 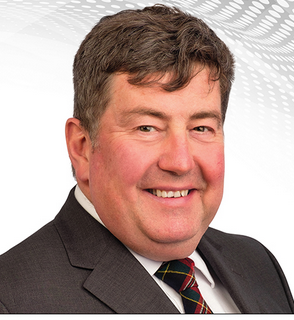 Sidney MacEwen, Progressive Conservative LINK Sidney is the incumbent and well-regarded in the area and in the Legislature for his intensity, manners, and intelligence. Venez dire Bonjour/Come Say Hi, 3:30-4:30PM, Acadian Museum, Miscouche, with Green Party District 24 Candidate Nick Arsenault and provincial leader Peter Bevan-Baker. Party with the Party, Green Party Rally with Elizabeth May, 7-10PM, College of Piping in Summerside, all welcome. The Groove Company will be playing after 8PM. If you can't make it, the event will be livestreamed at the Facebook event page. Ask Us Anything! Why Vote Yes? Livestreamed Question and Answer Session on the Referendum and Mixed Member Proportional Representation, 8-9PM. Anna Keenan of the PR Action Team, and our guest Gordon Cobb, will be available to answer any questions that you ask us in the comments!" CBC-hosted Leaders' Debate, 6:30-8PM, online or CBC TV and Radio. Here is a link to a Globe and Mail article today by Mark Jaccard, a professor of sustainable energy at Simon Fraser University. His argument is that we don't really understand the importance of the good climate policies that the Trudeau government has implemented, and that they are getting worldwide attention. Good, but let's keep moving, and pick up the pace. The Extinction Rebellion is planning more noticeable activities today in groups around the world. On April 15th, as part of the International Extinction Rebellion, XR PEI will stage a ‘sit-in’ in front of Province House and will ask the province to declare a CLIMATE EMERGENCY. This is a family-friendly artistic action which will not result in arrests. Bring your signs and banners ! 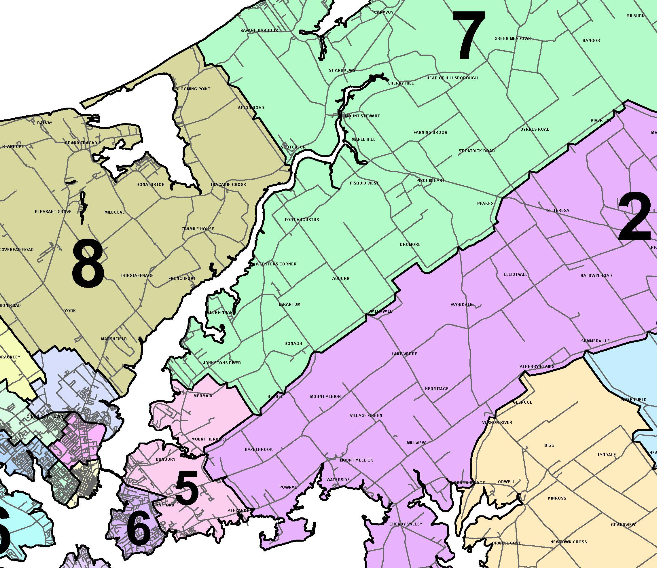 This District has the central main beaches of Brackley and Stanhope and Dalvay along the North Shore with its noodly appendage of Robinson's Island poking westerly to District 18: Rustico-Emerald, and District 15: Brackley-Hunter River tucked in below. 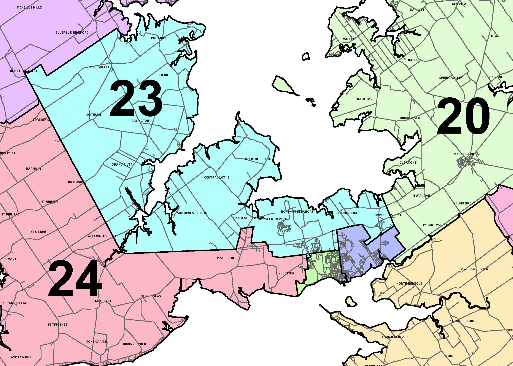 The District has a long boundary to the west with District 15: Brackely-Hunter River, with District 7:Morell-Donagh to the east, and District 9:Charlottetown-Hillsborough to its south. 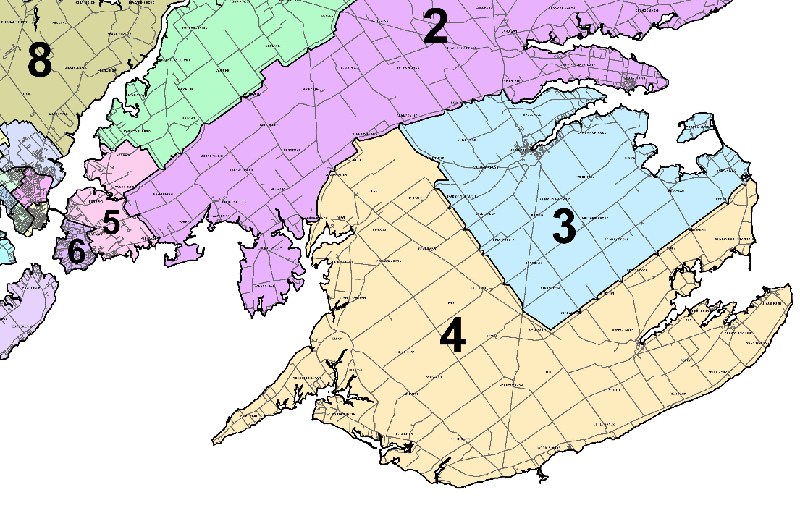 Communities are logically arranged into the polls of Tracadie Cross, Dunstaffnage, Marshfield, Union Road, Suffolk, Grand Tracadie, Pleasant Grove, Covehead and Brackley Beach. Sarah works at UPEI and is an advocate for mental health supports, avid outdoorsperson, and community volunteer. 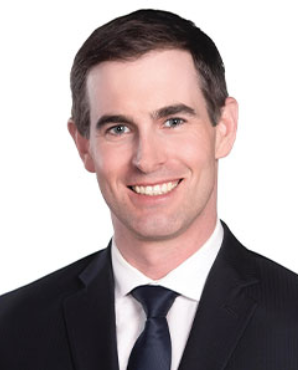 Wade has been Leader of the Liberal Party since February 2015, before that wrote a biography of famed former Premier Alex Campbell, served on many corporate and non-profit boards, and was president of UPEI after being a constitutional lawyer/law professor. 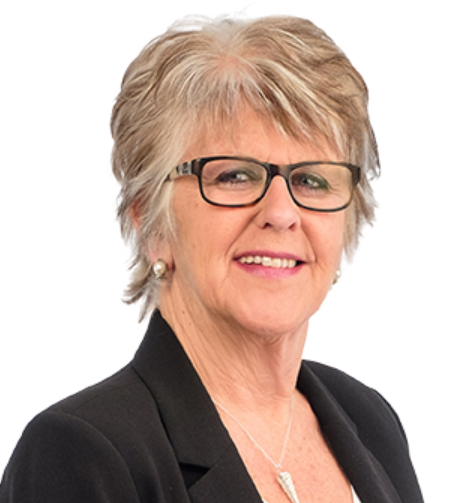 Marion is a social justice and international development dynamo, caring, knowledgeable and fearless. It would be great to see a debate of the candidates. Quote: "Out of difficulties grow miracles." Events: Many election-related (and Referendum-related!) events today, the last non-holiday Sunday of the election. District 16: Cornwall-Meadowbank Green Party Social, 11:30AM-1:30PM, headquarters at 412 TCH in Cornwall, with Candidate Ellen Jones. 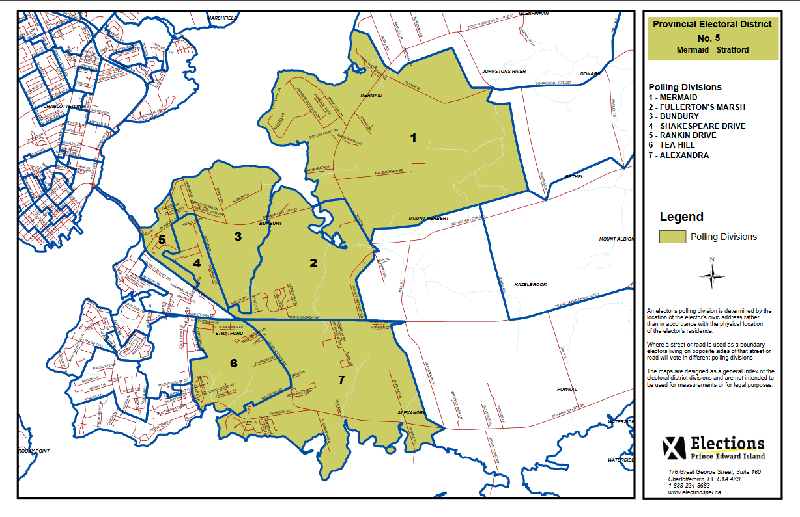 District 9: Charlottetown-Hillsborough Park and District 8: Stanhope-Marshfield Green Party Social for Coffee and Conversation (and some handcrafted donuts), 1-3PM, The Manse, 14155 St. Peter's Road, Marshfield. With D8 candidate Sarah Donald, and D9 candidate Josh Underhay. MMP Information Session, 4:15-5:50PM, Voluntary Resource Centre, 81 Prince Street, Charlottetown. Free. Hosted by Anna Keenan of the PR Action Team. "In light of the upcoming election and electoral reform, the PR Action Team is volunteering to hold informational sessions on proportional representation. I wanted to organize a small group to get together to be a part of a presentation in downtown Charlottetown. Keeping this group small creates a more comfortable setting to ask all the questions you have about MMP. It can be confusing topic, so this meeting is a great opportunity to learn more about what this could mean for PEI! Please join us Sunday for quick info session to become better informed about our voting system!" Elizabeth May (Federal Green Party leader) visits P.E.I., College of Piping, Summerside. More details tomorrow. Looking for more information on the Referendum, and want to invite others, but can't get to one easily? 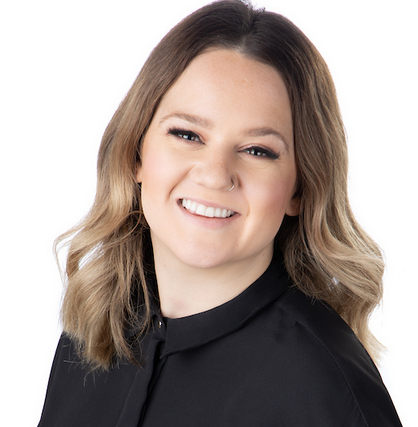 Anna Keenan of the PR Action Team is hosting a Facebook Live event Monday. CBC hosted Leaders' Debate, 6:30PM, online, or CBC TV or Radio. Second Advance Polling Day, 9AM-7PM. Leaders' Debate on Education, hosted by the PEI Teachers' Federation, 7-9PM. Community Hosted Social for Candidates from District 9 to14, 7-9PM, Charlottetown Fire Hall. 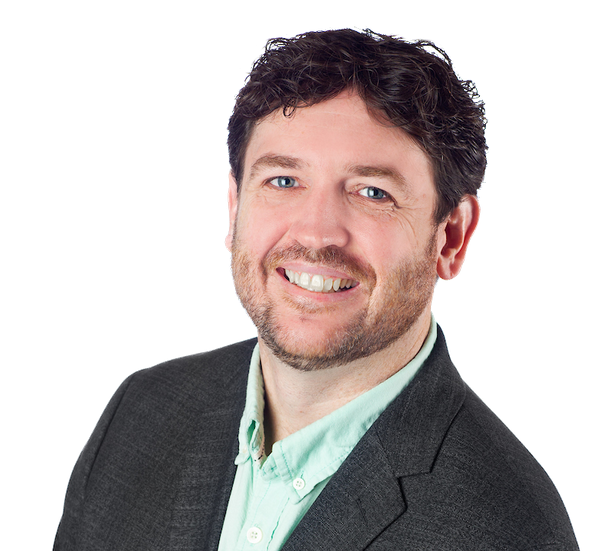 All welcome, but Joe Byrne, running in District 12: Charlottetown-Victoria Park, won't be able to go due to the Education Debate. P.E.I. 's Plastic Bag Ban goes into effect July 1st, 2019. 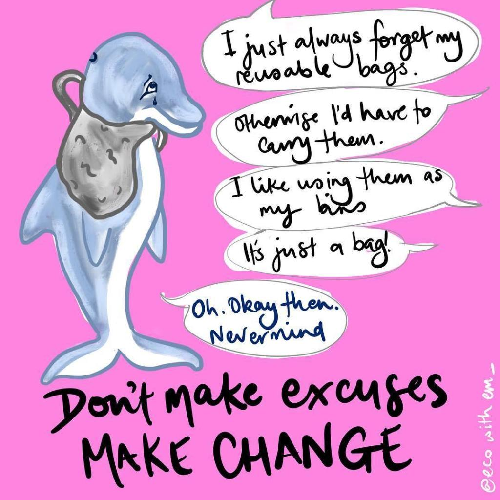 Good time to improve ways of making it easier to use bags more often. 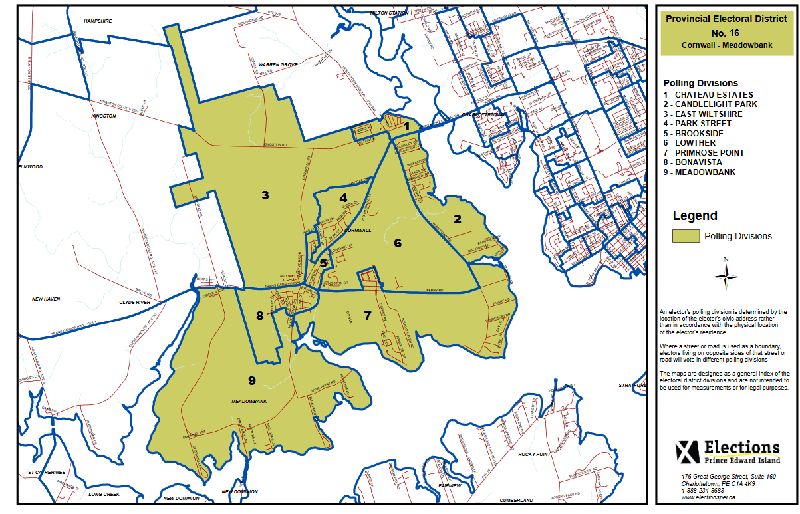 The last of the Charlottetown-districts is the most easterly, and is outside the Bypass (Arterial Highway) and up to the City's edge -- not including the airport area. Josh Underhay, Green Party LINK Joah is a popular French Immersion teacher at Birchwood Intermediate School, plays trumpet in local bands and directs school musical groups, and is a user and proponent of active transportation. He speaks several languages and promotes diversity and inclusion. 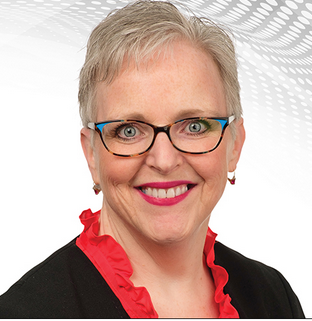 Karen Lavers, Liberal LINK Karen worked for the City of Charlottetown for over four decades and her entry into provincial politics apparently was quite anticipated. She is active volunteering for sport and community endeavors. 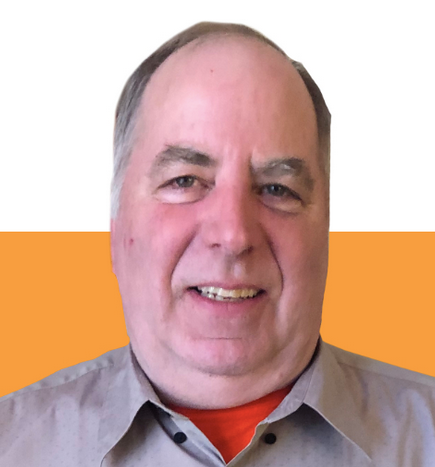 Gordon Gay, NDP LINK Gordon is a longtime Union representative and also volunteers for sport activities in his area. 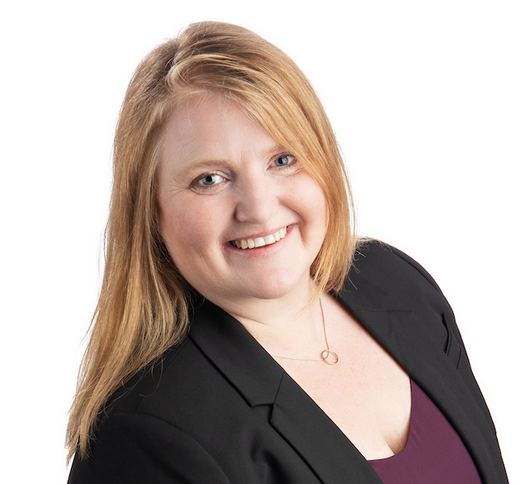 Sarah Stewart-Clark, Progressive Conservative LINK Sarah became a more widely known advocating for better mental health supports and family services in the #HowManyWade Facebook group, and worked with then-PC Party leader James Aylward. 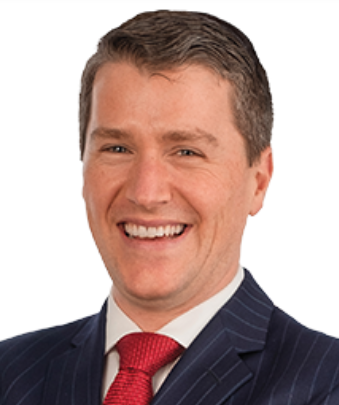 Stewart-Clarke ran for the leadership of the party earlier this year, and has been the nominated candidate since last year. Shehas a doctorate (though not a medical degree) from her work with invertebrates. Quote: "Remember this -- that very little is needed to make a happy life." ---Marcus Aurelius (121-180), Roman Emperor that may be easier to say when you are a Roman emperor, but I can get his point. If you just drive around, you can probably fill up on Candidates' Pancake Breakfasts, there are so many going on this morning. The manifesto placed in the Guardian by the Partnership for Growth (LINK), followed by a guest opinion from the current premier (LINK), were both narrow in scope and potentially ruinous in their implications. This half-page of free pre-election copy was nothing more than a self-serving call and response exercise for those on a quest for unlimited economic growth. In both these pieces the word “environment” was used a total of one time. “Climate change” was not even hinted at. A province which watches passively as countless tons of precious topsoil blow away each winter. A province which supports the idea of fewer farmers on larger farms. A province facing crises in health care, education and housing, to mention a few examples. To use economic growth as a prerequisite for effective governance may buttress the margins of those entrenched in the status quo. However, boosted profit in selected sectors or an up-tick in the GDP are by no means a measure of the wellness of the Island and its people. The social and environmental costs of this outdated model can no longer be ignored. We cannot delude ourselves through yet another election cycle. We must re-align our priorities and do so quickly. If we don’t live within our ecological means most other problems will pale in comparison. Ten Days until Election Day! 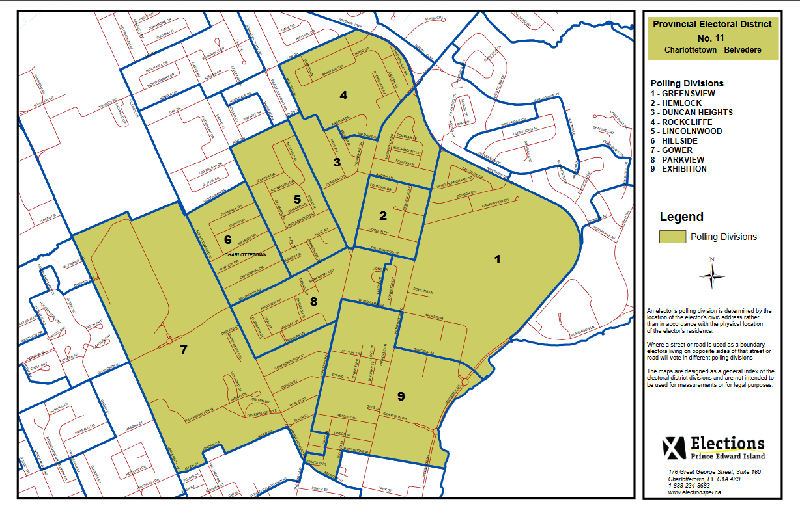 These Charlottetown Districts that weren't Brighton or Victoria Park got redrawn pretty extensively. The District used to encompass pretty much Sherwood, but It's longish shape now, going north to Winsloe -- beyond Melody Lane to Fox Run Drive, near where Rte. 2 and Lower Malpeque Drive converge. It splits Sherwood by only going halfway south through it (to Woodlawn Drive, and splits UPEI's land from the Athletics Fields/woods and the rest of the University Campus. 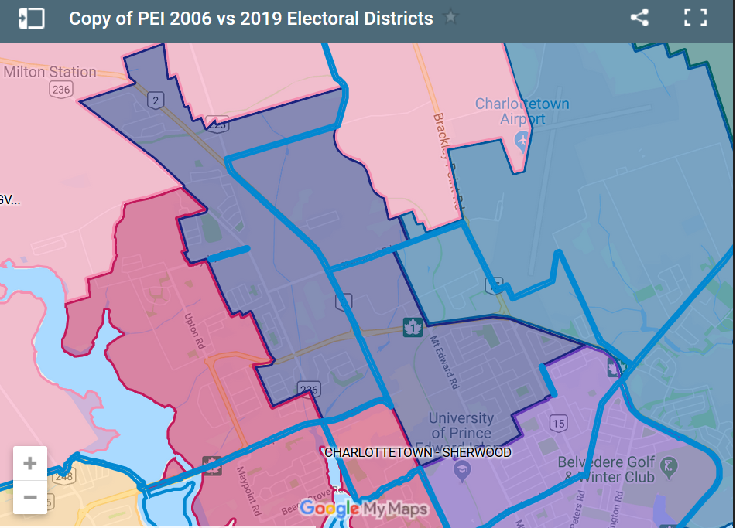 The darker purple is D10:Charlottetown-Winsloe, bright blue lines are the old boundaries. Robert Mitchell, Liberal LINK Robert Mitchell, Incumbent MLA, nicknamed "Poppy" by some for his declaration that he looked at his beloved grandchilden and told them "Poppy will never allow fracking on the Island"; he stalwartly pushed the Municipal Governance Act and the Water Act through the Legislature, and most recently was Health minister. 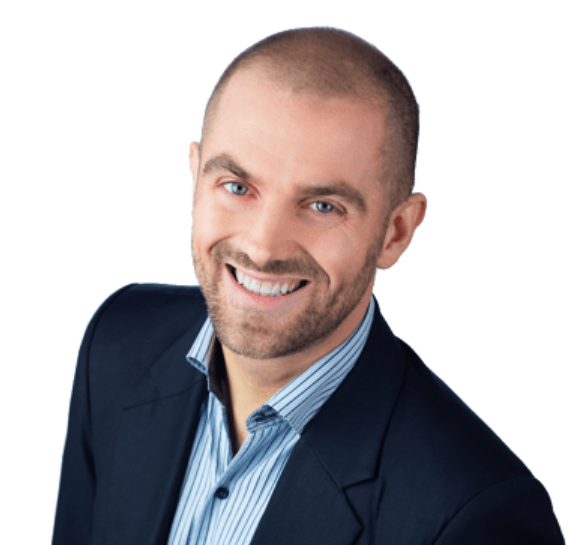 Mike is a Career Development Practitioner and volunteer in sports and health organizations. Jesse, Islander and continual social justice fighter, with training in the crafts, including glass blowing, and has worked as an educator and performer utilizing art. 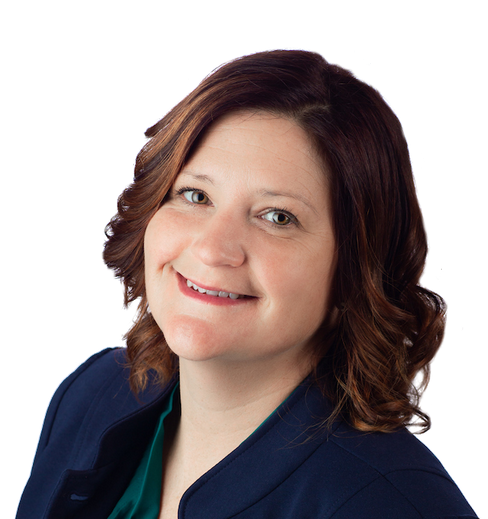 Jesse ran in the 2015 provincial election in District 17. 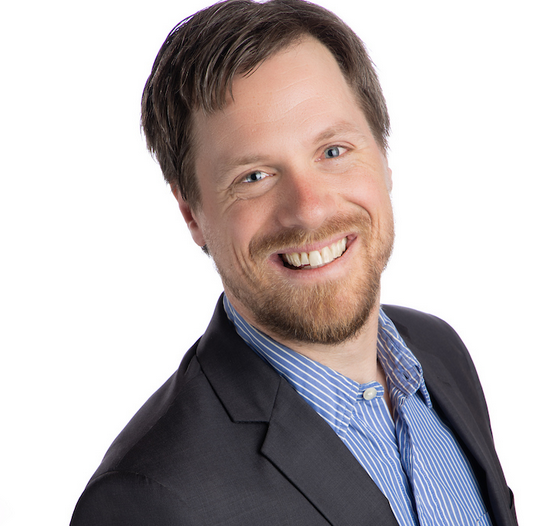 Green Cafe (Green Party Districts 13 and 12 fundraiser), 4-6PM, Y Lofts, 252 Prince Street in Charlottetown, with candidate Ole Hammarlund. Music, fundraising, and excellent hot drinks. Sign Wave, Green Party, District 17:New Haven-Rocky Point and D19:Borden-Kinkora, 4-5:30PM, at the Campaign Office, 20454 TCH Crapaud. "We'll remind people about the advance polls on Saturday and show our support for Peter Bevan-Baker and Matt MacFarlane at the same time!" Earth Day Expo, 12noon-3PM, Farm Centre,420 University Ave. There will also be some demonstrations of the ricd oof. If you were to grade the effectiveness of the first two weeks of the election, Liberals and Greens would land on top with the Tories slightly behind in search of the ignition to light their campaign. Jostling to win early public support has seen all leaders offer a predictable series of announcements, few of which stretch beyond normal expectations of politicians trying to use our money to bribe us into supporting them. Liberals have done a solid job controlling the daily agenda. Greens have maintained momentum, despite lagging far behind in available cash to spend. The Tories’ campaign is built on the premise that Green support will evaporate when Islanders step into the voting booth, a risky but not completely far-fetched idea. 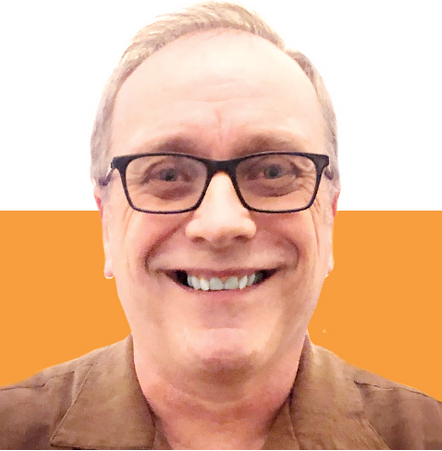 The NDP is focussing virtually all its efforts on two ridings, District 25 where former leader Herb Dickieson is hoping for a comeback and District 12 where leader Joe Byrne is in a four way dog fight. The fact that no party has yet collapsed means the final two weeks of the campaign is a sprint to woo the undecided. At least two polls will be released. The Guardian will publish its traditional CRA election poll. It has proven decisive in the past, most notably when Robert Ghiz was emboldened with a front page banner headline: Red Tide Rising. MQO Research will also release results of its quarterly poll. Results will either motivate or discourage enthusiasm of grassroots volunteers, the people necessary to identify and deliver votes. While pundits love to talk about the importance of debates, history shows they rarely have a large impact. That could change this year. The CBC debate on April 16th will be the most watched event of the campaign. Premier Wade MacLauchlan has the most to lose. Many believe he lacks empathy for the day-to-day struggles Islanders face. While no one can point to a specific reason, the perception likely rests with his focus on big picture economic thinking, like Gross Domestic Product, which does not leave a warm and fuzzy feeling with voters, despite its absolute importance to the success of our province. 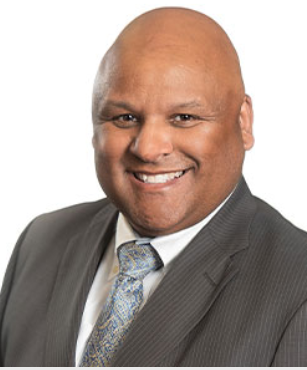 To succeed the premier must not get caught in the weeds of explanation, but rather connect with Islanders directly by combining substance with personalizing the investments government has made and their impact on ordinary citizens. 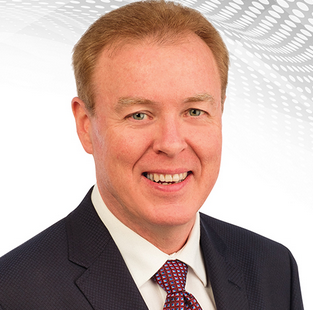 Like MacLauchlan, Peter Bevan-Baker can sit at any table and discuss the minutia of program spending and execution. He is debate ready but must convince Islanders that the Green Party is ready to govern. He is running toward, and against, history, which is littered with third parties expecting an electoral breakthrough only to be left disappointed. Dennis King could benefit from reduced expectations. He does not have the deep grasp of policy as other leaders, but he has never presented himself as such. His strength is in his ability to connect with people. 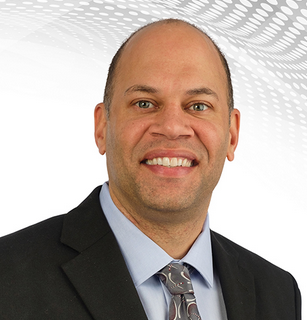 He offers a different type of leadership that relies on deferring execution to others. It is not a bad style of governance, it is simply different from the current. His challenge is to show a capacity and vision that moves beyond simply reciting PC promises. Of the four candidates, King also has the greatest potential to win the post-debate soundbite competition with a well timed and delivered quip. 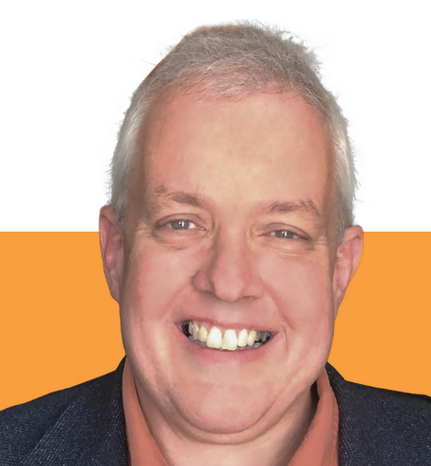 Joe Byrne will present the NDP’s provincial vision but always with an eye to narrowing the focus on District 12 voters. Byrne’s challenge is to be seen as relevant in what many perceive as a three-way fight. If there are pretenders to the crown, it’s likely cracks in campaigns will appear by the end of next week, most notably a sense of desperation. When and where those cracks occur could be the deciding factor in how local vote splits and ultimately what party and leader is left standing April 23. Can people off Island write letters to the editor? Can candidates talk about the referendum at the door? 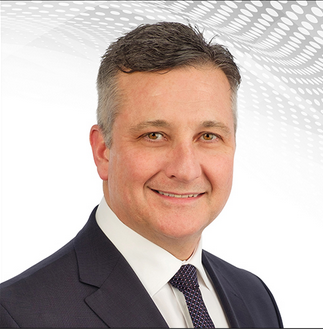 It's kind of late in the game to have asked these questions, but I was just checking, and here is a paraphrase of the conversation with Gerard Mitchell: Concerns about Freedom of Speech were raised with some of the more onerous requirements in the Electoral Systems Referendum Act from June 2018. Referendum Commissioner Gerard Mitchell's careful analysis of the legislation is that of course anyone can write any kind of letter to newspapers, and candidates can talk about any issues, including the referendum. Have a question for the Commissioner? Just ask! 2. Climate Change/Transition to Clean Energy – Citizens’ Alliance and Sierra Club Atlantic Scientists say we have less than 12 years (until 2030) to reverse the catastrophic climate change that is affecting our world. Last week, a national report indicated that Canada was warming at twice the rate of other countries. 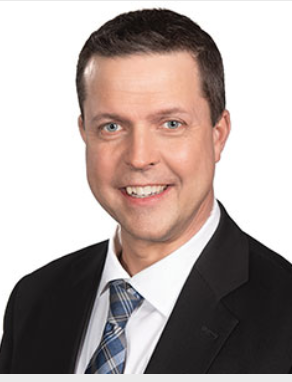 Several years ago, the Director of the PEI Secretariat for Climate Change called for the government to first view any proposal and policy through the lens of climate change. Because of our province's size and culture and the nature of our economy, PEI could show important leadership on climate change by making a rapid transition to a clean energy future, using conservation, efficiency, creative energy management and solar energy. What measures will you take to transition to 100% clean energy by 2030? What other measures would you take to make the needed changes to address the climate change crisis? Since the Citizens' Alliance helped draft this question, we were pretty interested in the answers, in addition to it being probably the most important question of this election. I am not quite sure how a $10 discount on a car registration is returning all revenue from the "federal carbon levy on gas a diesel". 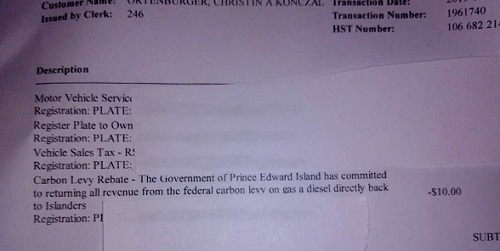 I think there are better ways of fighting climate change and the carbon emitted by transportation on P.E.I. 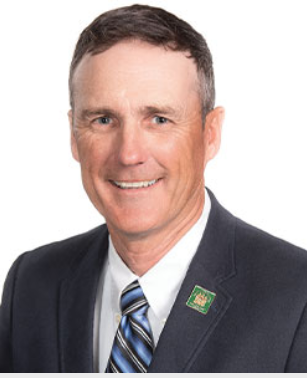 Dennis King, Progressive Conservative, said that people are our greatest resource, and we needed resourceful ideas like freeing the grid, working with the Sustainable Design Engineering School at UPEI, plant more trees, etc. 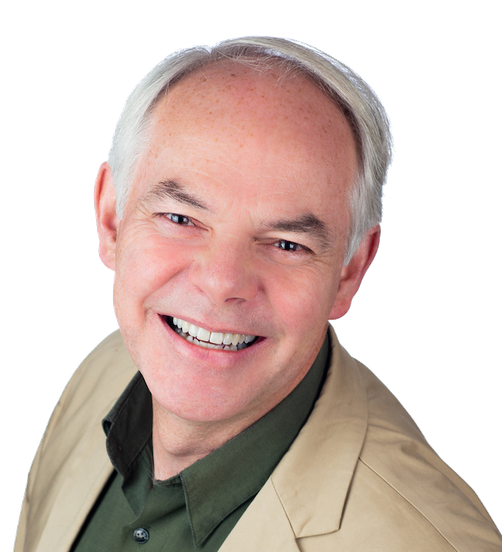 Peter Bevan-Baker, Green Party, critiqued MacLauchlan's claims by saying, "Let's not pretend we're world leaders." He was really passionate and full of contained fury, about the years of inaction, and feels that revenue can be generated for creating better choices by taxing carbon and giving it back to vulnerable Islanders. Eleven Days until the Provincial Election and Referendum on changing the Voting System to Mixed Member Proportional Representation! 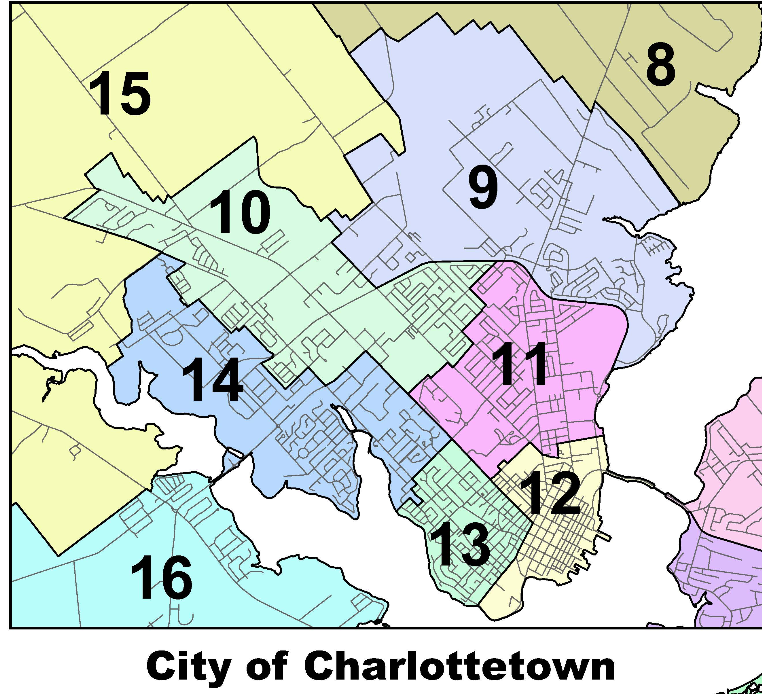 D11:Charlottetown-Belvedere is another compact district that is "above" of D12 (Charlottetown-Victoria Park) and goes from the arterial highway on the "right" or hospital size, crosses St. Peter's and Mt. Edward Road, and ends on University Avenue. 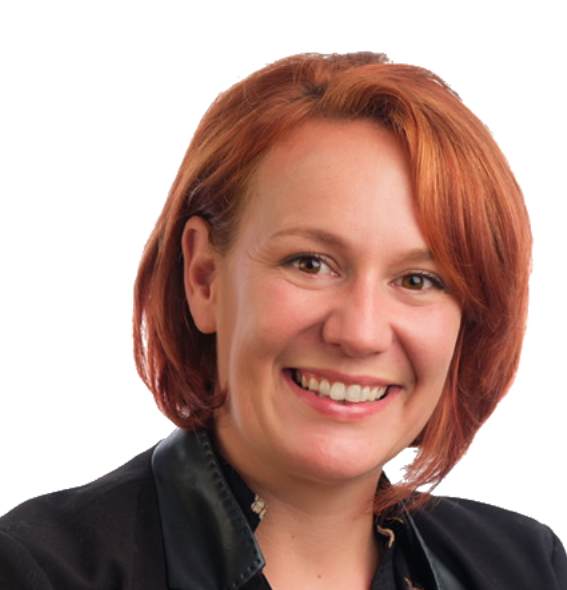 Hannah Bell, Green Party LINK incumbent, finance critic, House Leader and one of the smartest minds in the Legislature, elected in the bye-election in 2017 after Doug Currie abruptly resigned. 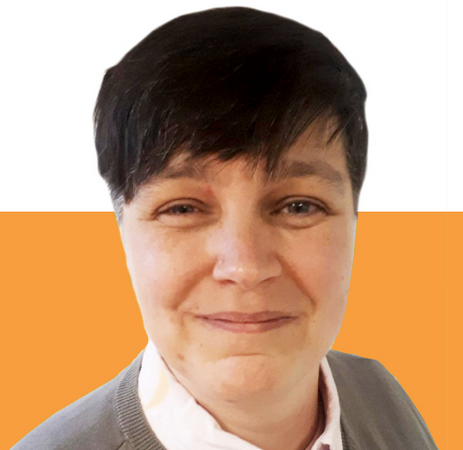 Roxanne Carter-Thompson, Liberal Party LINK Roxanne worked extensively with vulnerable families through the Adventure Group and other endeavors, and is an active social justice advocate. 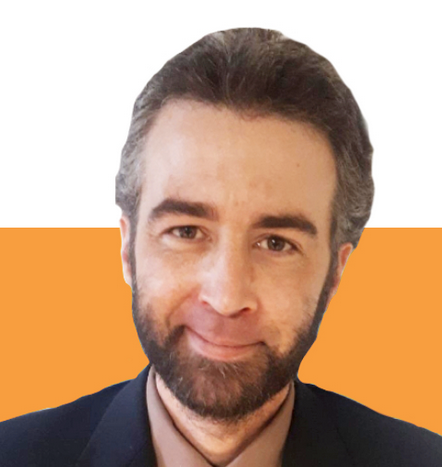 Trevor LeClerc, NDP LINK Actor and educator, and more recently health and social justice critic, Trevor is a long-time NDP member and supporter. This quote from the "Wonder Quote-a-Day" calendar makes my heart swell. Gary Schneider of ECOPEI introduced me to the life of the remarkable woman Wangari Maathai, soon after the Plan B highway destruction started, and ECOPEI even kindly offered donations from their hosting Cinema Politica's screening of the documentary Taking Root: The Vision of Wangari Maathai. It is high time to screen this devastating and uplifting movie again, once all this election froth has subsided. "There are opportunities even in the most difficult moments." Referendum PEI information session, with Commissioner Gerard Mitchell, 6:30-8PM, College of Piping, Summerside. 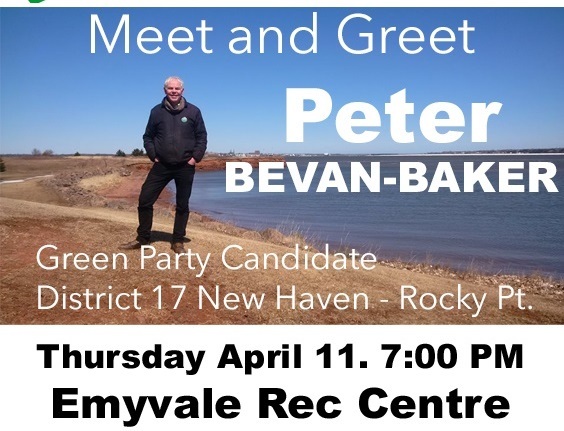 Meet-and-Greet, District 17 Green Party candidate and Party Leader Peter Bevan-Baker, 7-8:30PM, Emyvale Rec Centre, Kingston Road. South Shore Watershed Association AGM and presentation, 7-9PM, Englewood School, Crapaud. "Brendan Kelly presents "This ones for the birds"
Brendan will be discussing the decline of songbird populations and offering suggestions about what we can do on a local level to ensure that the birds keep singing." All welcome. Many people have difficulty recognizing the constellations in the night sky. Long ago, when ancient astronomers were studying the night sky and naming stars and planets, the night sky was much clearer and darker than it is now. Many of the stars that are difficult for us to see today, due to global light pollution and poor atmospheric conditions, were readily visible to them. The astronomers were able then to easily imagine and create various groupings of the stars in the shapes of people or creatures (both real and mythical). These constellations were then named, and their location and time (hourly and seasonally) that they were visible in the night sky were recorded in manuscripts for future reference. These constellation "star maps" were of immense value to ancient seafarers and other travellers who sailed or journeyed at night. There are 88 constellations in the night sky (combining both celestial hemispheres), of which 42 represent animals, 29 are inanimate objects and 17 show human or mythical characters. Some astronomers, in an effort to make locating certain constellations easier, created asterisms - a sort of picture within a picture - within certain constellations. Most night sky viewers can easily identify and point out the Big Dipper shape in the night sky – this is an asterism within the constellation of Ursa Major - the Big Bear. There are numerous other asterisms in the night sky. There is an asterism I hope readers will look for in the night sky this month and next. The Spring Triangle is a triangular shape that can be created by connecting (think connect the dots) the following three stars in the spring night sky: Arcturus (Greek for guardian of the bear) in Bootes - the Herdsman; Spica (Latin for ear of grain) in Virgo - the Virgin and Denebola (shortened Arabic phrase for "tail of the lion) in Leo - the Lion. These three constellations and the Spring Triangle asterism are visible in the eastern, evening sky once it has darkened and will be visible all night long as the constellations move across the sky to set in the western, pre-dawn sky. Mars dims slightly this month, dropping from mag. +1.5 to +1.6 (remember: positive numbers are always dimmer than negative numbers), but will remain prominent in the evening sky. The Red Planet can be readily identified sitting to the left of the Pleiades ("the Seven Sisters") open star cluster in the western sky around 8 p.m. on April 4-5. On the evening of April 16, Mars sits next to the red giant star Aldebaran (Arabic for the follower), the "eye" star of Taurus - the Bull, in the western sky as darkness falls. If you have binoculars, compare the red colours of the planet and star; Aldebaran, at mag. +0.8, will appear brighter than Mars. Jupiter (mag. -2.5) doesn't rise until well after midnight this month and, as a consequence, does not get very high in the sky before dawn begins to brighten the eastern horizon. Likewise, Saturn is a late riser, rising in the east just before dawn. Because both these planets don't get very high in the pre-dawn sky this month, views of any planetary features are limited, both in duration and quality. Mercury (mag. +0.5) will be visible low above the ESE horizon shortly before dawn this month. It reaches its greatest western elongation (angular distance from the sun as seen from Earth) on April 11. Look for this tiny planet to the lower left of Venus (mag. -3.9) on the morning of April 16, after this bright planet rises in the pre-dawn sky about an hour before the sun. The two planets will come within less than 5 degrees of one another, and although they are close, they do not actually pass one another (known as a conjunction) in the pre-dawn sky. Such a close encounter between two celestial objects, in this case, Mercury and Venus, is sometimes referred to as a quasi-conjunction or, more often, an appulse, which is defined as the shortest apparent distance between two celestial objects as seen from a third body during a given period of time. Although Venus is now receding from Earth in its orbit around the sun, and its angular diameter shrinks this month, it's illumination will actually increase from 81 per cent to 83 per cent, whereby its overall brightness will remain roughly the same throughout April. Glenn K. Roberts lives in Stratford, P.E.I., and has been an avid amateur astronomer since he was a small child. His column appears every two weeks. He welcomes comments from readers at glennkroberts@gmail.com. 12 Days until the Election and Referendum on Voting Systems! 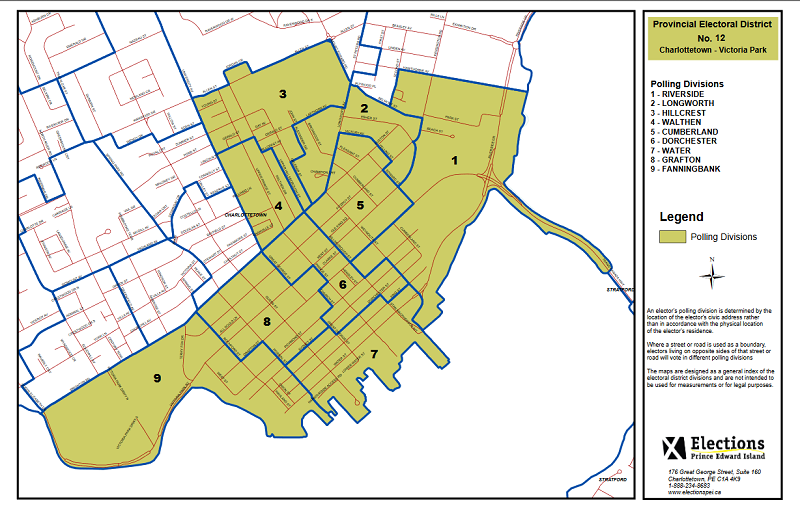 District 12: Charlottetown-Victoria Park changed a bit in the latest boundary redrawing, but still retains the name and most of the old Downtown core. 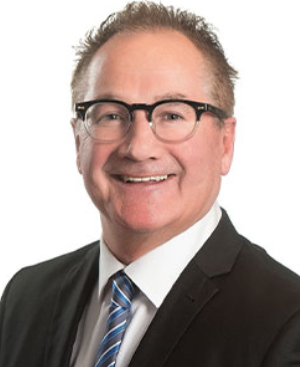 Richard Brown, Liberal LINK Incumbent, sometimes Minister of various portfolios, one of the four Opposition MLAs with Robert Ghiz from two decades ago, infamous for gesturing rudely at a person who shouted "Honour the Vote!" at Liberals while they were getting a Christmas photo taken in front of Province House a couple of months after the plebiscite. 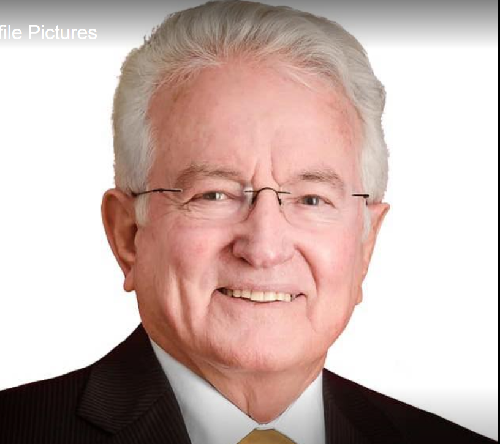 Joe Byrne, Leader of the Island NDP LINK Longtime social justice worker and educator, Joe's comments in the debates thus far demonstrate his kindness and his ability to be "the voice of fairness", while fighting climate change and invigorating Island institutions. 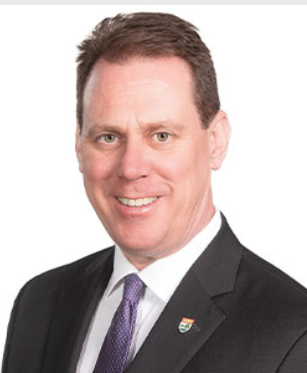 Tim Kaizer, Progressive Conservative LINK Tim is a Charlottetown native and very popular Colonel Gray High School Resource officer and police officer. Quote: "Each of us guards a gate of change that can only be unlocked from the inside." We want to reinforce the fact that agriculture is an industry of importance to the Island economy, and hear from our political leaders running for Premier on how they can help our sector. The Leaders have been asked to lay out their vision for agriculture on PEI in their opening statements. Following that, a series of questions will be put to each of them that will be centered around issues of critical importance to our industry. These questions have been developed by the PEIFA and the Membership who submitted questions over the course of last week. Referendum Information Session, 6:30PM, College of Piping, 619 Water Street, Summerside. With Commissioner Gerard Mitchell. One ballot or two? What will our ballot look like? If you have questions for the Commissioner, send them my way! Here is a nice one-page summary of what's going on regarding the Provincial Election April 23rd, with links. It's meant for UPEI students but so much good information! In November 2013, two Standing Committees of the PEI Legislature recommended a moratorium on oil and gas exploration and drilling in the Prince Edward Island portion of the Gulf of St. Lawrence. DFO's current Marine Protected Area (MPA) Network Strategy for the Gulf of St. Lawrence presents a unique opportunity to turn these recommendations into reality. DFO has been working with representatives of each of the five Gulf provinces on this MPA Strategy. The Banc-des-Americains off the Gaspé Peninsula has recently been designated an MPA which is protected from oil and gas development. What will you do to ensure that the PEI portion of the Gulf, which includes the Northumberland Strait, is designated as a Marine Protected Area where oil and gas development is prohibited, endangered or threatened species and their habitats are protected, and a sustainable inshore fishery is permitted? Dennis King (PC) was for establishing a MPA, said we need to be positive, to protect what we have, and get this right. Peter Bevan-Baker (Green) first said we must stop digging stuff out of the ground and burning it. He said he had a Motion in the provincial Legislature calling for a Marine Protected Areas. Yes, of course, and no pipe from Northern Pulp in the Strait, too. 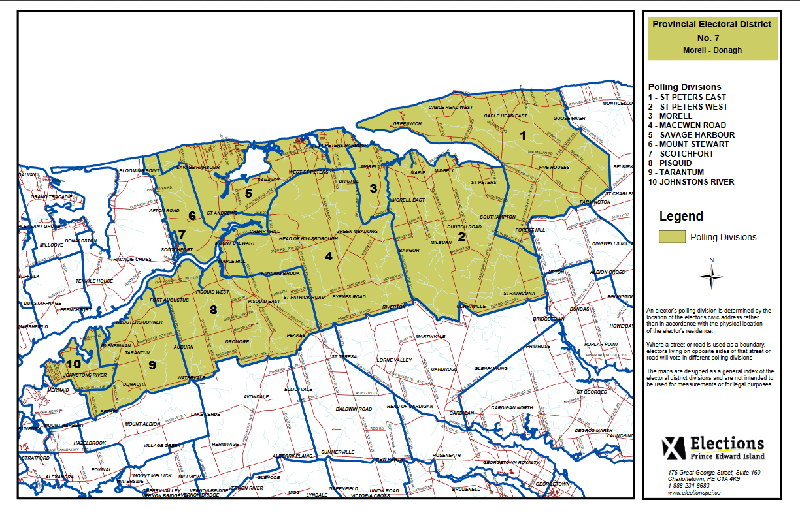 Joe Byrne (NDP) said yes, of course, along with a total fracking ban in all these waters, as it's all connected. Only 13 days until the provincial election and referendum on voting system! This compact District goes from Belvedere on its north side, University on its east, Euston /Brighton is on the south, and the North River on the west. Colonel Gray High School, Queen Charlotte Intermediate, and some elementary schools are in here. Ole came to P.E.I. to help with the ArkBioshelter Project in the 1970s, and stayed, now making his mark on many Island landmarks and in the community. He is also a writer and, obviously, a long-range thinker. 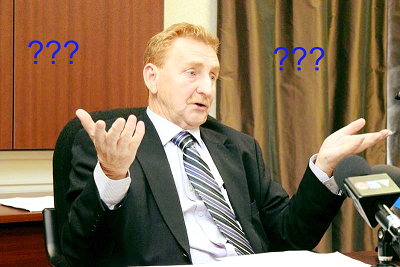 Lawyer, volunteer, MLA and most recent Justice Minister and Attorney General, and Education Minister. 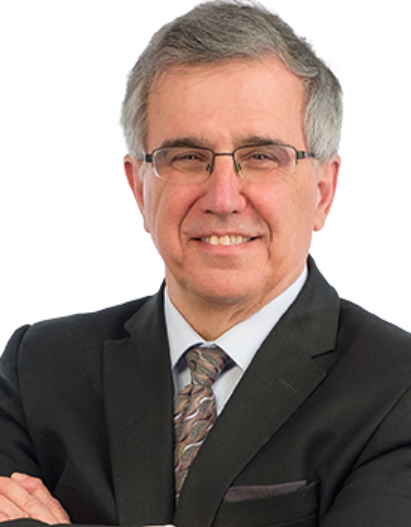 He was the chair of the Special Committee on Democratic Renewal, but when that didn't turn out the way it apparently was supposed to, as Justice Minister he oversaw the Electoral Systems Referendum Act through the Legislature last June. Simone Webster, NDP LINK Mother, has done advanced studies in international development, served on the board of the Voluntary Resource Centre and other local initiatives, and came to the island for a one year stint after getting her veterinary medicine degree elsewhere, and stayed (that's what happened to this newsletter writer, too). Tickets (free but need to be reserved) for the CBC Leaders' Debate (which is next Tuesday, April 16th) available, 12noon until supplies last. People can reserve up to four tickets, at the box office in Summerside, or on-line, or by calling: 1-888-391-9090. Note the debate will be live at Harbourfront (of course) and streamed live at CBC PEI online, AND on both CBC TV and CBC Radio next Tuesday evening. Land Use forum, 7-9PM, Murchison Centre, St. Pius X Road, Charlottetown. This one is important, too, despite the unfortunate timing between the Environmental Issues forum last night and the Federation of Agriculture forum tomorrow night. It's important even if Wade MacLauchlan doesn't feel it is worth coming to, as there are many angles to the issues of land holdings and use that aren't getting discussed at other forums. The Coalition for the Protection of PEI Lands is hosting the leaders of the four political parties in a public debate on urgent land-related issues in Prince Edward Island. 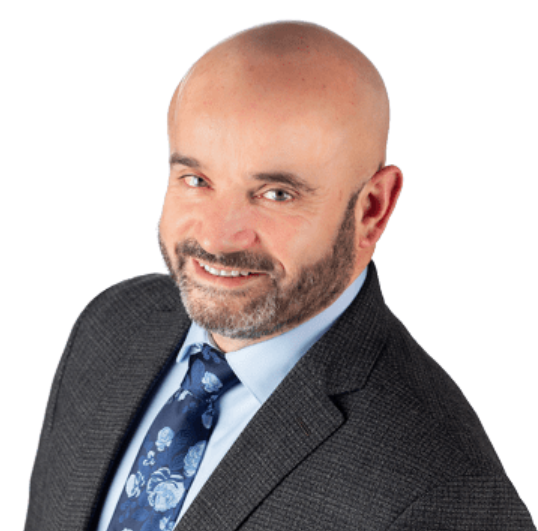 he leaders of three parties have confirmed their participation: Progressive Conservative Party of PEI, Green Party of PEI and the New Democratic Party of PEI. The leader of the Liberal Party of PEI will not be attending. Just one month ago the Coalition for the Protection of PEI Lands sponsored a forum and was prepared for an attendance of eighty people. Instead a huge gathering of 220 people crowded into the Farm Centre in Charlottetown. It is expected that there will also be high interest in the upcoming party leaders’ debate. All are welcome. Leaders will answer written questions submitted from members of the Coalition. If time permits, questions will also be solicited from the audience. This will be a moderated event and will follow a nonpartisan, unbiased and impartial format. The moderator is Bill McGuire, well known journalist, recently retired from editorial work at the Guardian. Stop by to pick up Vote Yes Lawn signs or Join us for canvassing to distribute pamphlets and remind people about the vote to change to a Mixed Member Proportional (MMP) voting system on April 23. We have two weeks to get the word out and need your help to spread the word! 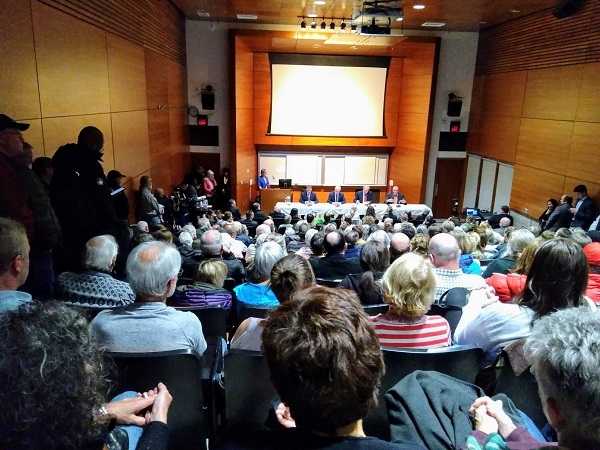 The Environmental Issues Forum last night had a spectacular turn-out. You can watch the Facebook event livestream delayed recording, by scrolling down their page until you see the Leaders sitting at the table. Thanks to the folks at ECOPEI for filming this. There were about 14 questions asked and answered, instead of trying to batch trends too much, I will summarize one question a day. These are my notes, so my inaccuracies and biases are all my own. The preliminary question was for each to introduce himself and then state what three things he would focus on environmentally. Dennis King (PCs) said he would focus on Clean water, healthy air, and improving the Quality of Soil, and try to do so in a collaborative way. Peter Bevan-Baker (Greens) said he looks at things holistically as we are the environment and it is us. He would focus on Climate change, protecting water, and providing support to farmers to be stewards of the land. 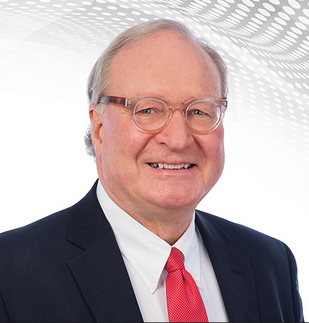 Wade MacLauchlan (Liberal) said he would focus on information, building trust, and strategic investment. 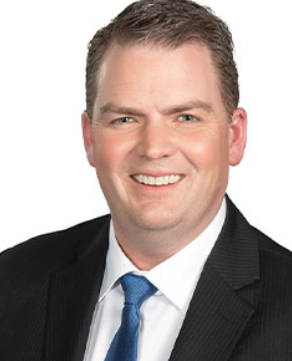 Joe Byrne (NDP) said we have to look at everything through a filter of Climate Change, knowing a fundamental truth that people cannot save the world, can't fight Climate Change, if they can't feed their family; and he would focus on the Soil, Clean Water, and Public Transit. Is there a meet-and-greet for all candidates in your District? Why not host one? You just need a location and a bit of time to get the ball rolling. Contact the candidates with an invitation and some flexibility on date/time. Consider next Sunday, April 14th, which is when there will be one for the District 17 candidates, from 1-2PM, at the Bonshaw Community Centre. You can be a dedicated member of one Party and still provide a friendly, non-partisan atmosphere for your community to meet their candidates! Publicity can be as little as a Facebook event, and a notice you can print and hang up in a few visible places. Having some light refreshments would be great, but it doesn't have to be more than tea or coffee and some cookies. An hour seems short, but it people want to drop in, then it's a good amount of time, if that's all the candidates can manage in this short time frame. Contact me if you want any more ideas. Two weeks until Election Day and voting for MLAs and voting system. 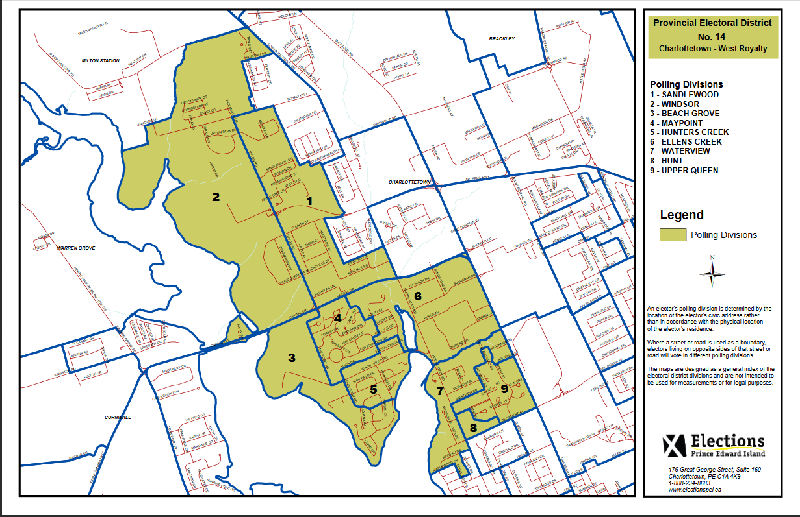 And of District 14: Charlottetown-West Royalty, which goes from Royalty Road by Sleepy Hollow Road down the western edge of the City to Belvedere. Lewis Point, Poplar Island, Upton Road, Beech Grove area, the BioCommons area, the shopping districts including big box store areas with Marks and Homesense and all the way down University (west side) around to the Cannabis store shopping centre and down and along the North River. Gavin Hall, Green Party LINK Gavin is a realtor and father of three small kids, and interested in renewal energy. Bush Dumville, Independent (Consensus Party) LINK A former police office and elected to the Robert Ghiz government in 2007, Bush ran for the Speaker's chair that Buck Watts won, and served on many, many committees. He tipped the apple cart after being a steadfast tin soldier for the Liberals or many years when he felt passed over once too often, and is a organizer for a grouping of independents for consensus government. "We carry within us the wonders we seek around us." 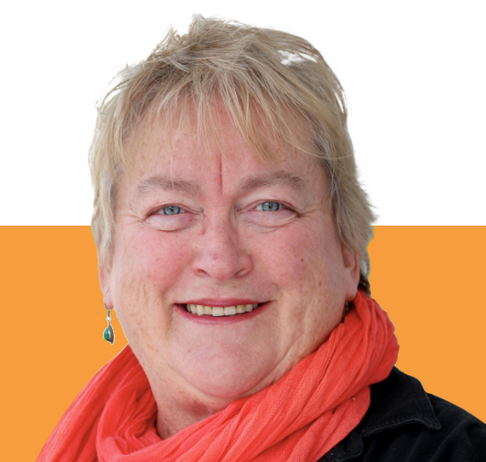 NDP Announcement on the Rural Health Care Crisis, 11AM, O'Leary Town Complex, 18 Community Street, O'Leary. AVC Wildlife Care Fundraiser, 9:30AM-4PM, Main Level (Lobby to Cafeteria area, not clinics). Homemade but darlingly decorated baked goods, raffles and other endeavors. All welcome. Metered visitor parking off University Avenue. Here are some scheduled for these remaining two weeks of the campaign. Many will be livestreamed, and if we find out where, we'll post that on the Citizens' Alliance Facebook page. If you can get to some of them, so much the better. Environmental Issues, 7-9PM, UPEI, MacDougall Hall Room 242, all welcome. This is the forum organized by a mega-group of over a dozen environmentally-minded organizations. Plans to livestream at ECOPEI's Facebook page, HERE. Tickets go on reserve at NOON for CBC Leaders' Debate April 16th -- see details, below. Federation of Agriculture Ag Forum, 7-9PM, Murchison Centre. Leaders' Forum on Women's Issues, 10AM-12noon, Florence Simmons Performance Hall, off Weymouth Street. CBC Leaders' Debate, 6:30-8PM, Harbourfront Theatre, Summerside. Tickets are free and will be available beginning Tuesday, April 9, at noon, from the Harbourfront Box Office, online on its website, or by phone at 1-888-311-9090. Limit of four tickets per person. This will be livestreamed and on CBC Television, too. PEI Teachers' Federation Debate on Education, 7PM. 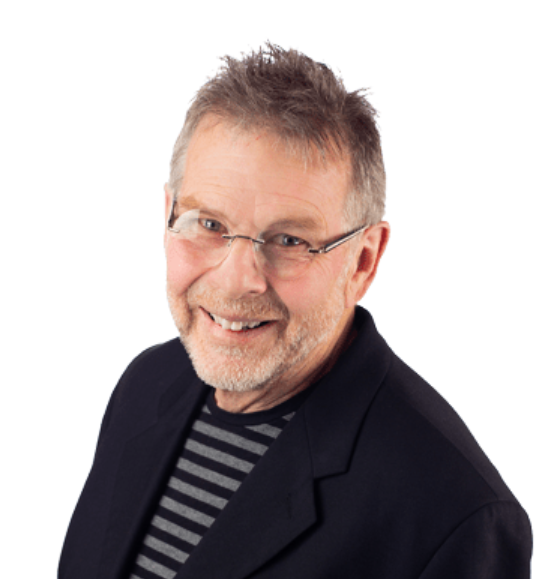 Monday, April 15th, Elizabeth May, Leader of the Federal Green Party, is visiting P.E.I. for a rally. You may remember she came to P.E.I. on "May Day" in 2015 a few days before the May the 4th election where Peter Bevan-Baker won his seat. What about the Referendum on Voting Systems? How can you help? Of course it is concurrent with the voting for your District MLA, but there are many issues on the go and only so much time, money, volunteers, and energy; human attention spans aren't all that great ;-) But Vote Yes PEI and "unregistered" proponent groups like PR on PEI are working away and can use any time and energy you have. This referendum has huge implications, and many, many roadblocks -- like the "gift" of pairing it with the provincial election ostensibly to increase voter participation, but in reality results in a paucity of quality time to get Islanders living busy days up to speed about it. Yet, we persevere. "Invite your friends and let's spread the word about why voting for proportional representation matters for democracy! 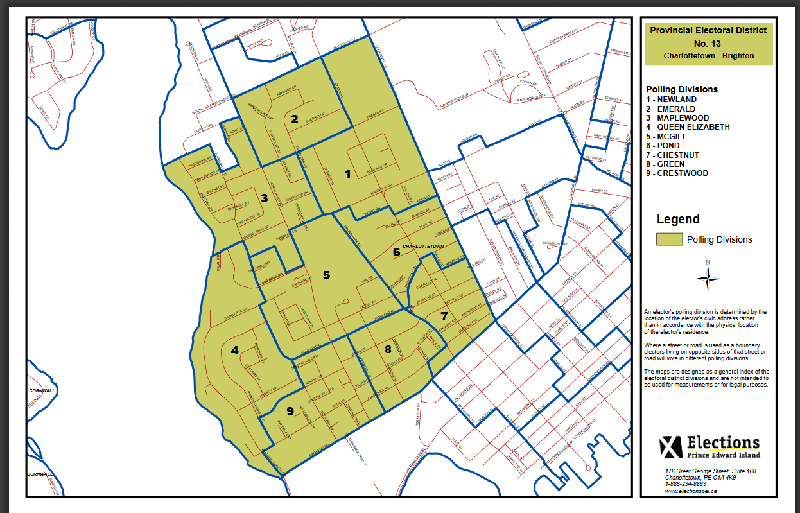 Door canvassing - Join us for canvassing to distribute pamphlets and remind people about the vote to change to a Mixed Member Proportional (MMP) voting system on April 23. Thank you - let's make every vote count!" 15 Days until the vote for your MLA and for the voting system referendum! We focus on one District as we countdown to Voting Day. 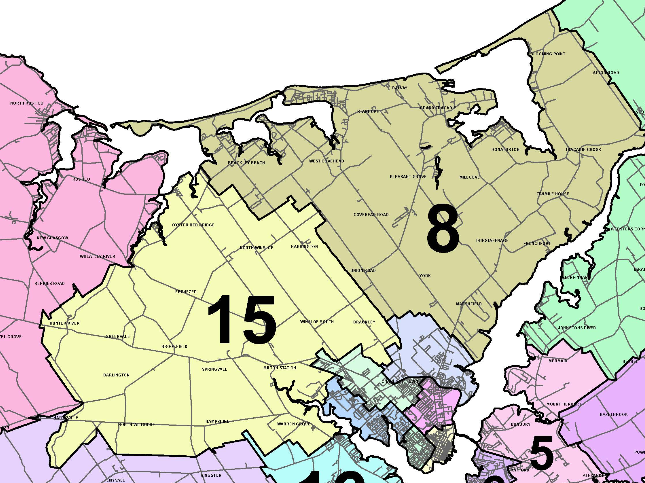 Some of these next Districts have shapes and names different from the last election. District 15: Brackley-Hunter River fans north and west from Charlottetown, and has Brackley (not Brackley Beach), Milton Station, Warren Grove, Hampshire, North Wiltsire, Darlington, Hunter River, Oyster Bed Bridge, NORTH Winsloe, Harrington, Winsloe South, and back to Brackley going clockwise in its perimeter, and Ebenezer and Springvale and such in the centre. 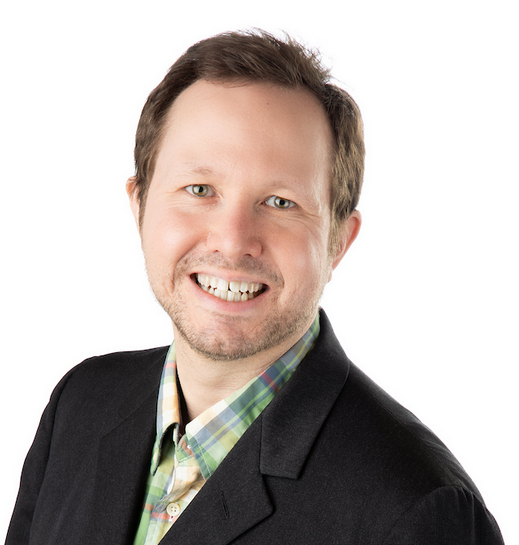 Greg Bradley, Green Party LINK Carpenter, activist, avid outdoors person, father of three sons, community volunteer. 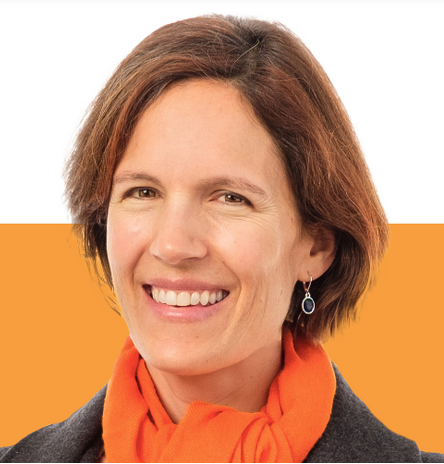 Leah-Jane Hayward, NDP LINK President of NDP Energy, organization and concern, entrepreneur. 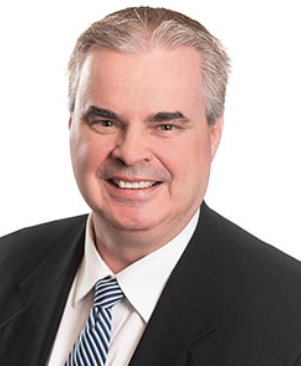 Dennis King, Progressive Conservative LINK Recently elected Leader of the PC Party. 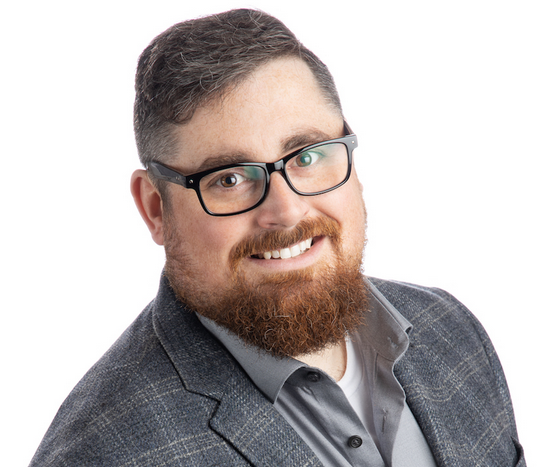 Former communications manager for the Party, and the Mi'kmaq Confederacy, executive director of the PEI Seafod Processors Association, CBC political panel member, and storyteller. "Tell your heart that the fear of suffering is worse than the suffering itself. And no heart has ever suffered when it goes in search of its dreams." 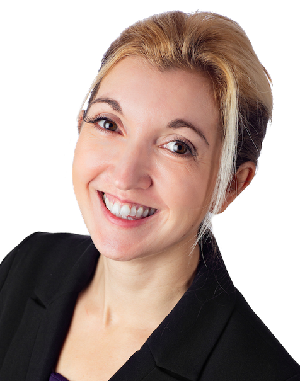 Green Party District 16: Cornwall-Meadowbank Meet and Greet, 11:30AM-1:30PM, Nominee Ellen Jones. Repeats next Sunday, same time. 412TCH in Cornwall (across from Esso, more parking at Dairy Bar next door). "Come on out to our headquarters and meet some of the amazing people who are helping me along this crazy journey and if you’re game be sure to take a selfie with the (almost) infamous green horse, Trigger!" Annual Development and Peace -- Solidarity Sunday Workshop, “Who Will Protect the Precious Child”? 2-4PM, St. Pius X Church, Parkdale. On refugees. Panelists, refreshments, and music by Emerald Junction. National Wildlife week Fundraiser, 9:30AM-4PM, Atlantic Veterinary College Main Level (between lobby and cafeteria, so not the clinics on the lower floor). There are fabulous raffle prizes, beautiful (silent auction) art work, a wellness basket (complete with owl pj's and wildlife socks), and all kinds of other wonderful wildlife related items. Plus...delicious baked goods by our wildlife club students! Proceeds go towards wildlife care. **Environmental Issues Forum for Leaders, 7PM, UPEI MacDougall Hall, Room 242. All welcome. Over a dozen groups have submitted questions to the leaders on a variety of vital issues facing the province. Have questions on the referendum for the Commissioner?? 16 Days until the provincial election and referendum on voting systems! west of Charlottetown, making up the communities of North River and Meadowbank and the town of Cornwall, to the edge with District 17: New Haven-Rocky Point. Ellen Jones, Green Party LINK Entrepreneur and creator of the Hughes-Jones Centre, which brought people and horses together to the betterment of each. The Cornwall Bypass ended that operation, which continues to look for a new incarnation. 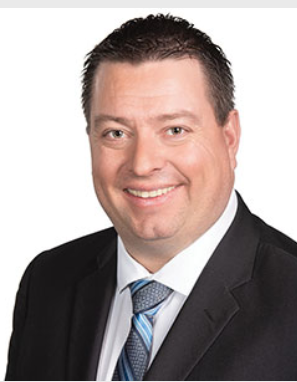 Heath MacDonald, Liberal Party LINK Heath was minister of Finance previously, and has a background in tourism management. Craig has a range of experiences bringing a lot of perspective to this campaign. "Put blinders on to those things that conspire to hold you back, especially the ones in your own head." Even with the poor weather forecast, if you wander around many parts of the Island, especially in Charlottetown and Summerside, you'll like meet up with a group of campaign volunteers for any particular candidate. A good time will be had, to be sure. And there will be some volunteers our between now and Election Day going door to door to chat to people about the Referendum, and you are welcome to join them, too!! Town Hall, St. Mary's in Souris, 6:30-8PM. If you can get there, great; please let people you know in Souris and surrounding areas know about these opportunities. Annual Development and Peace -- Solidarity Sunday Workshop, “Who Will Protect the Precious Child”? 2-4PM, St. Pius X Church, Parkdale. "Panelists: Ron Kelly, Danny Gillis, and Om Giri of Buthan. Ron Kelly and Anne Quinn (of the duo Emerald Junction) will perform “Precious Child.” Enjoy a Sharing Table. All are welcome." Today's Guardian has a front-page feature on MMP being implemented in both Scotland and New Zealand and how it's working out, which apparently is pretty well. 17 Days until the Referendum and Provincial Election! 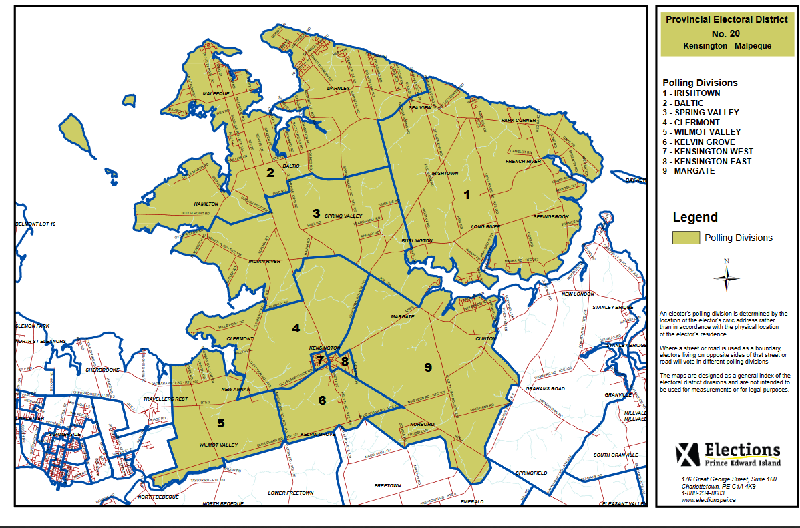 This District is nestled in the South Shore region, between D19:Borden-Kinkora and D16:Cornwall-Meadowbank, which D18:Rustico-Emerald and D15:Brackley-Hunter River to the north. 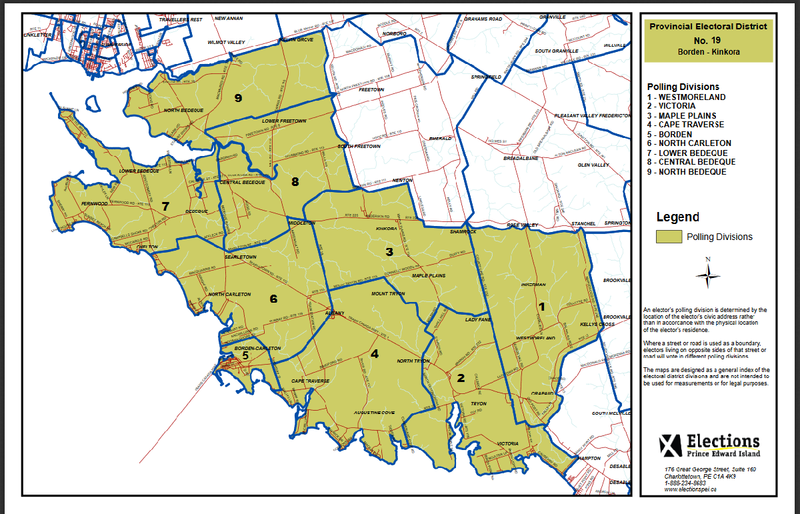 It goes from east of Crapaud and Victoria (not in the is District anymore) to the entire Cumberland peninsula. The former dentist (career politician?) is the current MLA and Green Party Leader, and therefore legislatively Leader of the Third Party in the last Legislature. A dedicated family person and community member, of many kinds of community. Judy is a nurse and active community member, very hard working. Kris works in the golf industry and is involved in many community endeavors. "I know it’s election time but life goes on and the 68.5 million refugees in the world have no vote. Quite a world we live in." --- Mary Boyd, Order of Canada (CM) and Island treasure, in mentioning the Development and Peace Workshop tomorrow. NDP Announcement on Rural Access to High Speed Internet, 10AM, 68 Orlebar Place, Charlottetown. 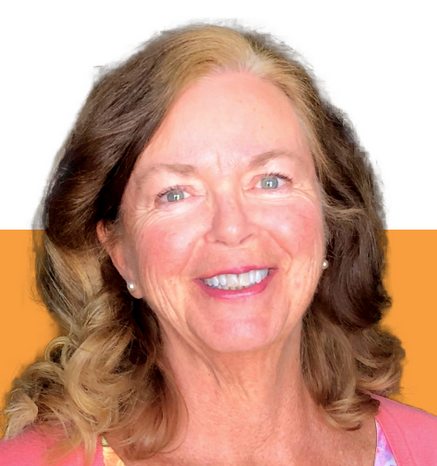 On Friday April 5th, Joe Byrne, Leader of the Island New Democrats, and Deputy Leader Leah-Jane Hayward, will make a major announcement and provide media availability concerning rural access to high speed internet. 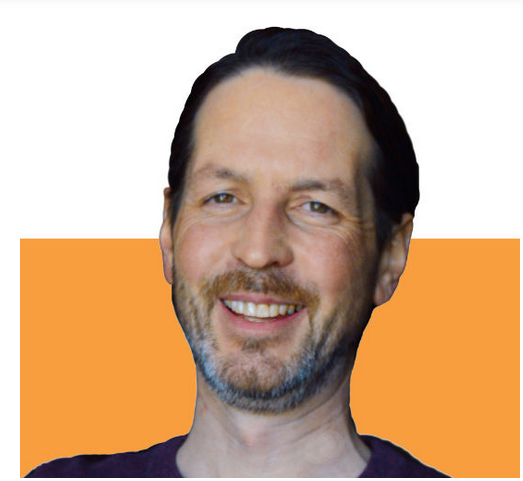 Green Tea (Green Party District 13 fundraiser), 4-6PM, Y Lofts, 252 Prince Street in Charlottetown, with candidate Ole Hammarlund. Music by Teresa Doyle and David MacKay. Fundraising endeavors, specialty coffees and refreshments. Everyone welcome!! Friends of Nigel Armstrong Benefit, 7-9PM, Murphy Community Centre. Nigel is a long-time Guardian reporter and wonderful human being. "A Celebration of Life/Benefit/Silent Auction to raise money for our coworker and friend Nigel Armstrong and his family to help support them during Nigel's cancer journey." Green District 17 and 19 Meet-and-Greet, 6-8PM, D17-D19 Campaign Office, 20454 TCH in Crapaud. Liberal District 17 and 19 Meet-and-Greet, 7:30-9PM, Crapaud Curling Club. 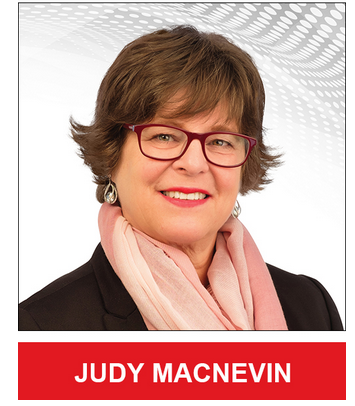 Judy MacNevin and Jamie Stride are the Liberal candidates for 17 and 19. Tuesday, April 9th, LAND USE Issues Forum, 7-9PM, Murchison Centre. FPTP -- First Past the Post -- the candidate who gets more votes than any other wins. Called a "plurality", as opposed to a "majority"
MMP -- Mixed Member Proportional Representation, which has two categories, or mixed, Members, and the make up of the Assembly is proportional to the actual vote. 2) the second vote is for a candidate on a list, representing a Party. The person votes based on their values, reflected in a Party's constitution and platform. The second votes are tallied and THAT's how the percentage who voted for each Party will be reflected in the Legislature, by distribution of the List candidates. 18 Days until Election Day! 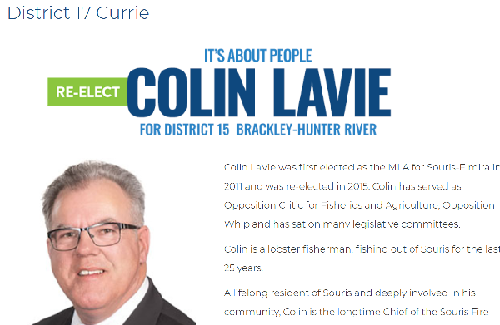 This District has changed boundaries a bit, as you can see in this overlay screenshot, from the innovative Brad Trivers, who happens to be the MLA. Cavendish, New London, the Rusticos, lovely countryside around Breadalbane, down to an including Rt. 225, but not Hunter River and Oyster Bed Bridge, etc. "Learning who you are is what you're here to do." Music by Teresa Doyle and David MacKay. There will also be a draw for spring gourmet meal for two at 5:30. Specialty coffees and refreshments. Everyone welcome!! Question: Our democracy is steady and unchanging -- Mixed Member Proportional would be a a complicated change. Why tinker with something that has worked well for generations? It's time to Give the Majority the vote! 1963 - indigenous islanders finally get the vote. 2019 - let's give the majority the vote!! First Past the Post (FPTP) was fine when we only had two parties. Either the Grits or the Tories would win with over 50% of the popular vote. Fair enough! But not everyone supports these old line parties anymore and we see growing support for other parties. In the last election Greens and NDP received over 20% of the vote and won only one seat. We have an out-dated system that elects so-called majority governments that receive 100% of the power with as little as 40% of the popular vote. To make matters worse, a handful of party insiders, together with the premier, make decisions that result in debacles such as e-gaming, PNP and Plan B. Not even their own backbenchers can stop them, or support investigations into wrongdoing. This is tyranny by an elite minority and it has got to stop. When you hear that FPTP has served us well for 152 years, remember, this is the same tired argument the old-boys club have used since 1773. They have no interest in sharing power and will fight to keep their privileged position. Corporations, big legal firms and construction companies contribute to the campaigns of both old line parties and expect to be rewarded with fat contracts and interest free loans when their pals get elected. If you are sick of this cycle of patronage, vote yes to MMP. It is the voting system used by most democracies around the world including Scotland, New Zealand and Australia. Vote MMP, Mixed Member Proportional and give the majority the vote! It's 2019! 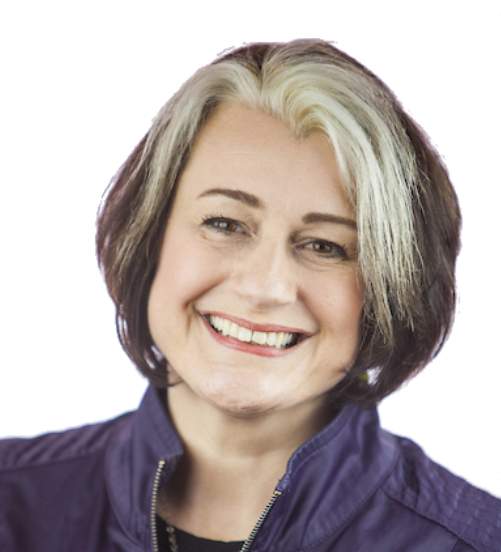 Susan Delacourt is the Star’s Ottawa bureau chief and a columnist covering national politics. 19 Days until the Provincial election and Referendum on Electoral Systems! 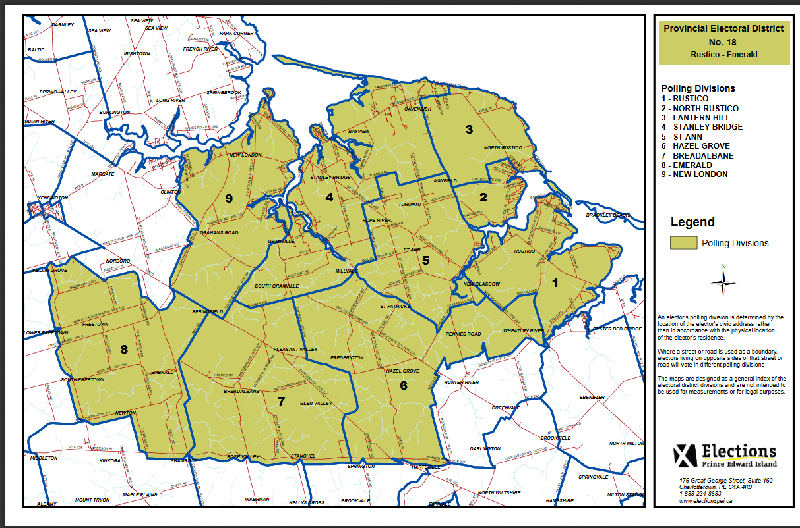 This District incluses the ones in its title, plus Albany and all the way to Summeride, and east now including Victoria and Crapaud. Lots of lovely rural areas and small communities. "How can you know what you're capable of if you don't embrace the unknown?" 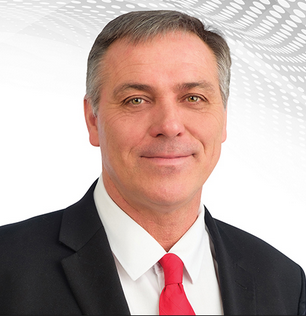 Progressive Conservative leader Dennis King's HQ opening, 7-8:30PM, Clow's Red and White, corner of Rte. 9 and Rte. 225. All welcome. An opinion piece by Neil Macdonald on what is really happening and what's a distraction. Not to dwell on negative, but more to point out what we should be focusing on addressing, while the media and some politicians will catch our eyes and ears on this. This column is part of CBC's Opinion section. Question Question on Mixed Member Proportional Representation -- Doesn't MMP lead to unstable minority governments? Now, only 20 days until the provincial election and referendum on electoral systems! This District has been adjusted a little bit, and goes from Malpeque Bay in the west to the Southwest River, includes of course all of Kensignton, and some communities south of it, too. Matthew J. MacKay, Green Party This sounds like something "Hawkeye" Pierce would read about in his small hometown newspaper, two candidates for office sharing nearly the exact same name, but this Matthew J. MacKay uses his middle initial to help differentiate himself from PC Matthew MacKay. Matthew J. is a graphic designer and former marathoner. 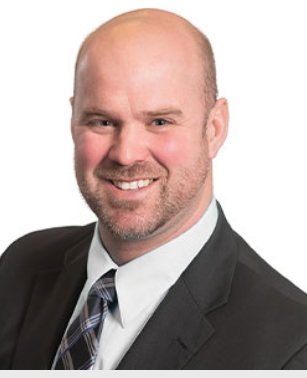 Matthew MacKay, Progressive Conservative and Opposition House Leader and critic for economic development, Matt is a kind soul and a tenacious interrogator in Question Period. He continues to work as a realtor. "Look at the sky: that is for you. Look at each person's face as you pass on the street: Those faces are for you....Remember this when you wake in the morning and think you have nothing." Tuesdays in D2: A Green Social, 6-8PM, Clamdiggers Restaurant, Cardigan, hosted by Green Party candidate Susan Hartley. Nature PEI meeting, presentation on fox families with Donna Martin. Meeting 7:30PM, talk at 8PM. Beaconsfield Carriage House. All welcome. 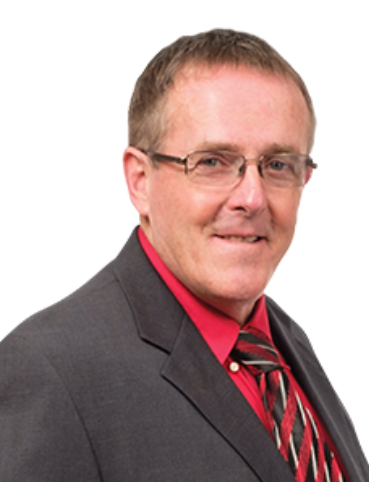 Official Opening Dennis King HQ, 7-8:30PM, Clow's Red and White, Hampshire, with Progressive Conservative leader and District 15: Brackley-Hunter River candidate Dennis King. 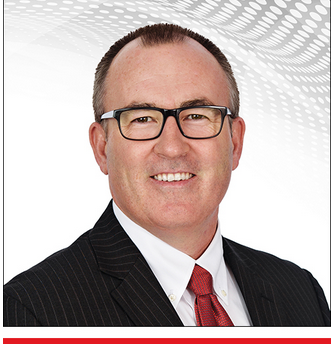 "Join us at Clow's Red & White, 1104 Route 225 in North Wiltshire for the Official Opening of Dennis King's Headquarters. There will be homemade chilli for all!" Leaders' Forum on the Environment, 7PM, UPEI, MacDougall Hall Room 242. All welcome. This is where you can really see how each of these people feels about the value of the environment. The bill to ban whale and dolphin captivity is under threat of being quietly killed at the House of Commons Fisheries Committee on Tuesday, April 2. Some committee members are trying to amend Bill S-203, which would be a death sentence for the bill. If Bill S-203 gets amended, it will go back to the Senate, where powerful, pro-Marineland senators can obstruct the bill and prevent it from ever becoming law. It will die for good when Parliament breaks in June. Please urge members of the Fisheries Committee to pass Bill S-203 unamended. This link is to that text and a petition you can sign online. The documentary Modified on one person's point of view on genetically modified foods, visually told, was shown on the CBC Doc channel, and is available for viewing online at their website. 44 minutes. I haven't had the chance to watch it, but others have remarked on it. Could there be a "Sunset Clause", where the electorate can review and vote to revoke MMP after a couple of elections? Yes, we as voters would insist Legislators write that into the Electoral System legislation that would have to be created after the Referendum (but before the next provincial election). Many people, like Leo Broderick of the Council of Canadians, mentioned this in the presentations back in 2015 and 2016. Last week, I started sporting a "Vote YES P.E.I." button on my coat. It has led to great conversations about why I plan to support changing our electoral system to mixed member proportional representation (MMP). It is important to me that Islanders see their votes better reflected in the legislature. I want the make-up of the legislature to better match the make-up of the population. That includes greater diversity of opinions and policies as well as greater diversity of gender, ethnic background, age, ability, family type, language, class, culture, profession and more. I also like that MMP is a mixed system that includes some representatives focused on the specific needs of local communities and some representatives who are elected from across the Island who can keep our collective needs in mind. We need diverse decision-making bodies to deal with the complex issues and diverse needs of today's world. 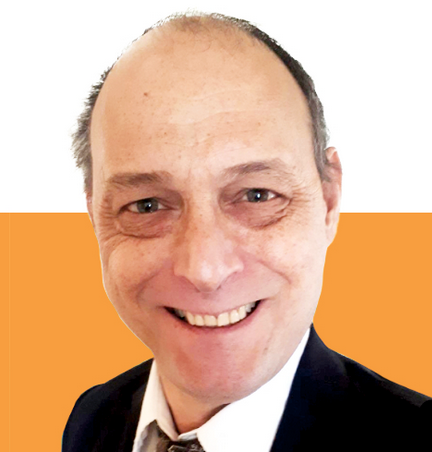 I have researched electoral models, and I am convinced the MMP electoral system has a much better chance of producing the diverse results I am looking for compared to our current system. 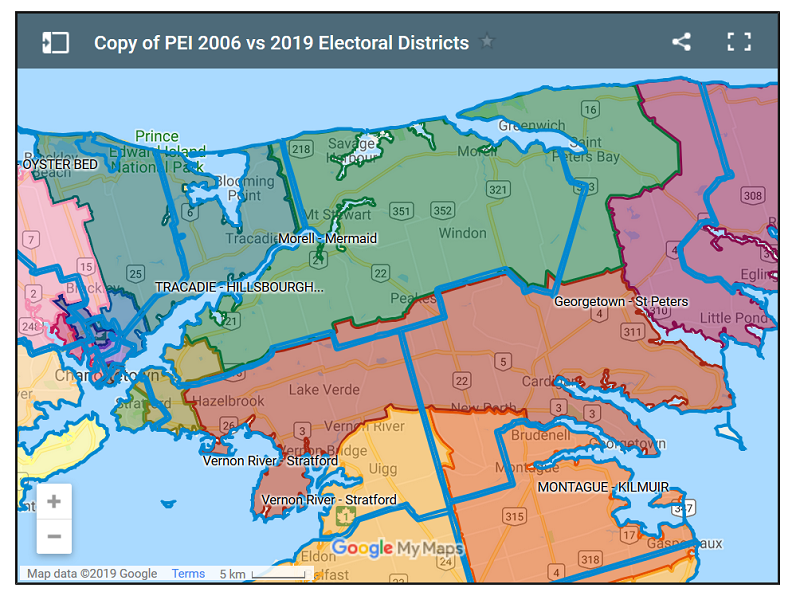 A suggestion I've heard from a few people who've noticed my button is that they'd like to try MMP for a few elections, see how it works for P.E.I., and then vote on it. This is a great idea. In New Zealand, about 15 years after they adopted MMP, they confirmed their choice in a 2011 referendum. In 2016, after P.E.I.’s last plebiscite, advocates asked government to implement voters' top choice – MMP – and to follow up with a referendum after two elections. I hope voters will join me in voting YES and take a chance on change for the better. I will also be looking to political candidates and leaders to commit that after we vote for MMP, we’ll get a chance to confirm after several years that we got the change we wanted. 21 Days until until the provincial election and referendum on voting systems! 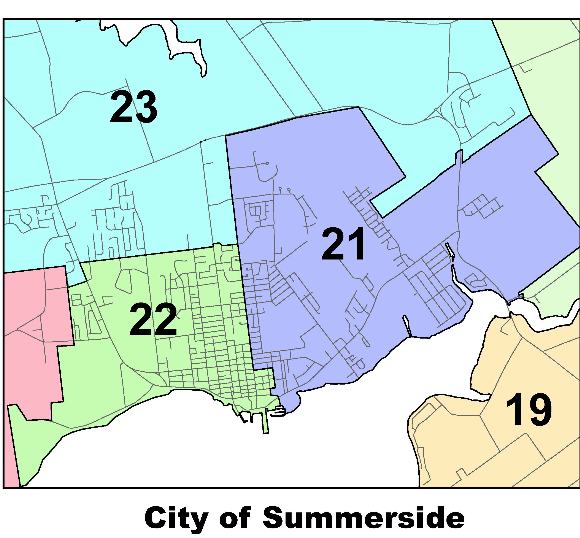 This is the Summerside district along with D22:Summerside-South Drive, and hasn't changed too much since the previous boundaries were set. The name has been clarified to Summerside-Wilmot from Summerside-St. Eleanors. "Kindness is like snow. It beautifies everything is covers." Final Green Party Nomination Meeting and Platform Launch, 6:30-8:30PM, Old Grand Tracadie Elementary School, 16 York Road. There will also be a "celebration" of the Green Party's Platform launch. NaturePEI monthly meeting and presentation by Donna Martin on Foxes, 7:30PM meeting, 8PM presentation, Beaconsfield Carriage House, Kent Street, Charlottetown. "Through her vivid photography and her observations of their natural behavior, Donna will take us on a journey following some red fox families that reside and raise their families in and around the Summerside area. Donna will also share some fun fox facts, variation in coat colors, and some behavioral observations." 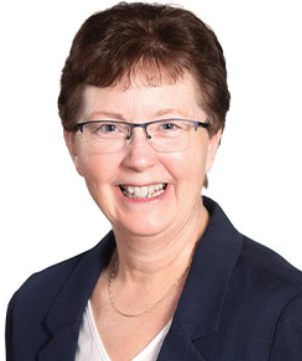 She is a graduate of Holland College's Renewable Resource Management Program, has a diploma in Wildlife Technology, and is a recipient of the PEI Museum and Heritage Foundation "Volunteer of the Year Award" for her contribution to the preservation of the heritage of PEI. 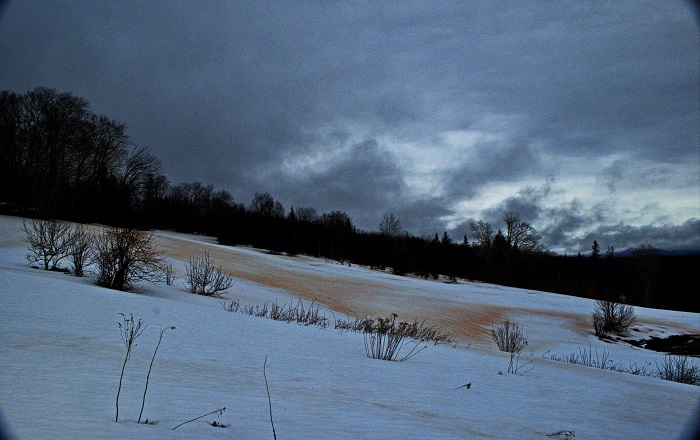 "Some red topsoil from Prince Edward Island, delivered to us here in Cape Breton by the wind. While we could sure use it here, this isn't the best delivery method. How much ended up in the ocean I wonder? Maybe big ag should plant some cover crops over there each fall before they lose more of what they can't get back." An early Fall and cold and snowcover *then*, meant fewer fields got cover crops established here in P.E.I., though many farmers are cover-cropping more than in the last decade...but still, climate change is causing this, and we need to acknowledge that and make soil conservation a greater priority. Another topic to bring up at the door to candidates, and have discussed at any Leaders' forums on environmental and on land issues that take place. No one is probably totally pleased with this decision, but it allows the Nova Scotia government to get more answers and have a bit more time to figure out any less awful solutions for the Northern Pulp paper mill. 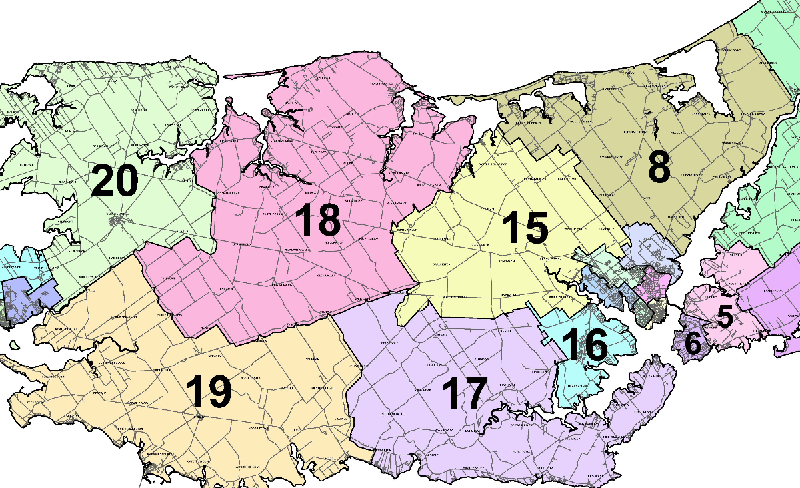 1) In MMP, you get TWO votes - one for someone who represents your DISTRICT, and one for someone who represents your VALUES, regardless of where on the island they live. 2) Overall, if 40% of the island aligns with values of a particular political Party, that Party will have 40% of the seats in the Legislature, so no political Party can ever have more power than they've earned from voters. 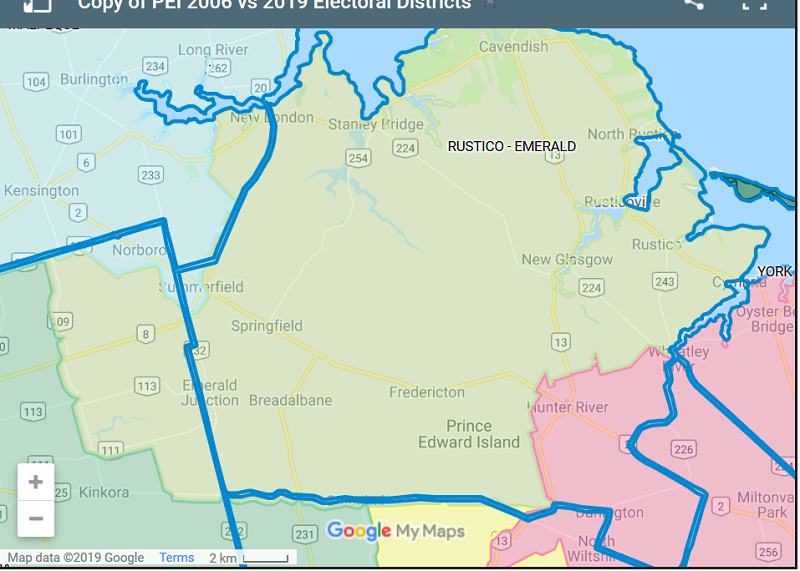 Here is the Greater Summerside and Districts surrounding map from Elections PEI, with District 22 being the little bright green one in the lower centre. South Drive curves southeasterly through the middle of this District, which was pulled together from several Districts around it. 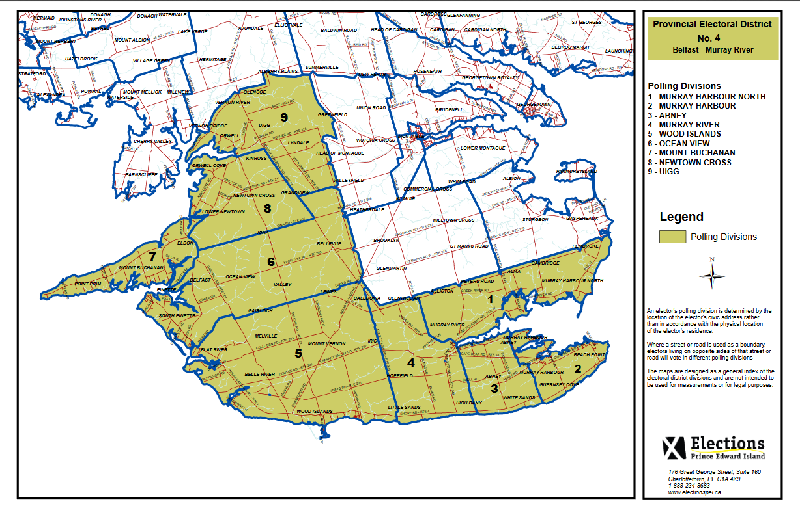 You can compare the overlays of new and old boundaries using MLA Brad Trivers' maps, here. 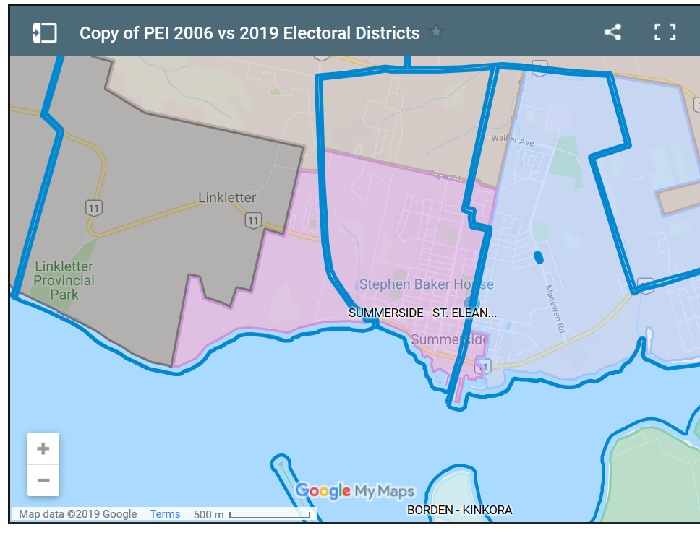 If you live in the general Summerside area, you will want to go to Elections PEI website and check out the voter address District Finder to make sure you know what District you are in. The software is Very Fussy about how you capitalize and spell out your request, though. 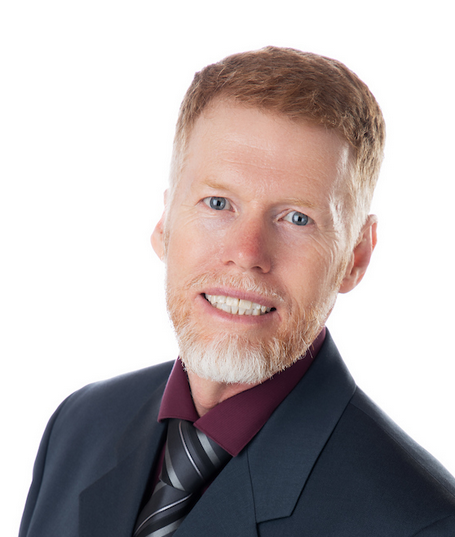 Steve Howard, Green Party LINK Steve is a renewable energy entrepreneur and father of small kids, and passionate about the youth of Summerside and the Island, and their future. 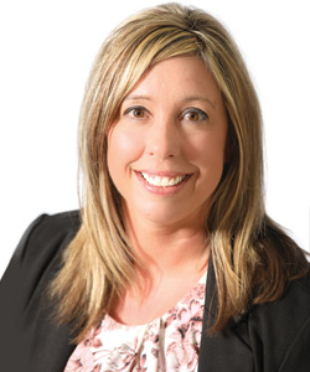 Tina Mundy, Liberal was Minister of Family and Human Services LINK Tina was a Summerside Councillor and community volunteer, and has three grown children. Garth Oatway, NDP LINK Garth has travelled a lot and seen a lot of inequity and wants to change that, was a small businessperson, has three children, and currently works for Canada Post. 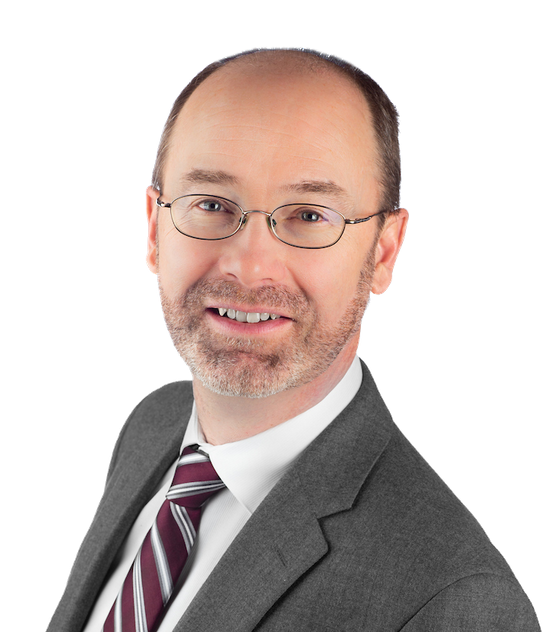 Paul Walsh, Progressive Conservative General Candidate page link no other information available at this time. "Greatness lies not in being strong, but in the right using of strength."